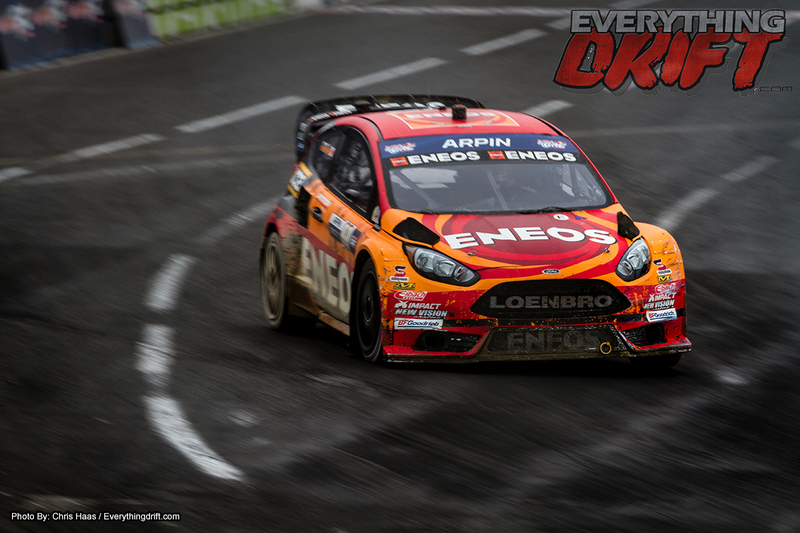 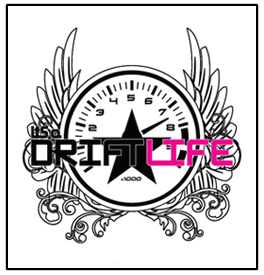 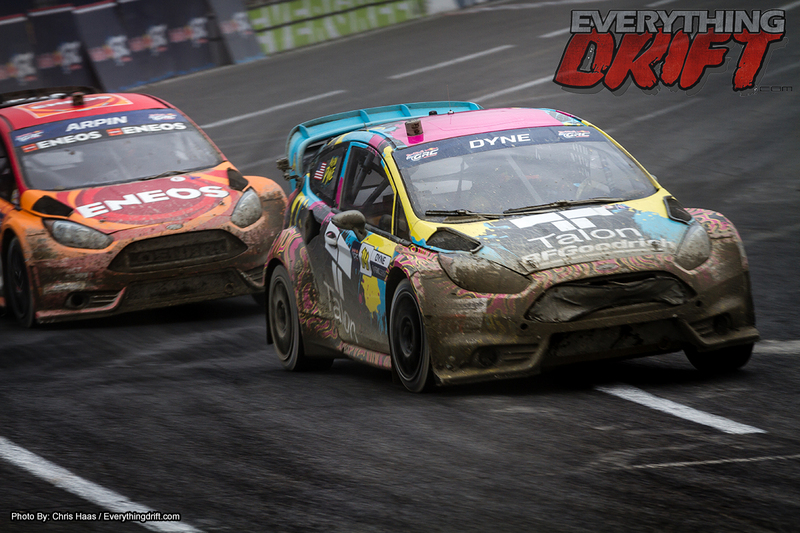 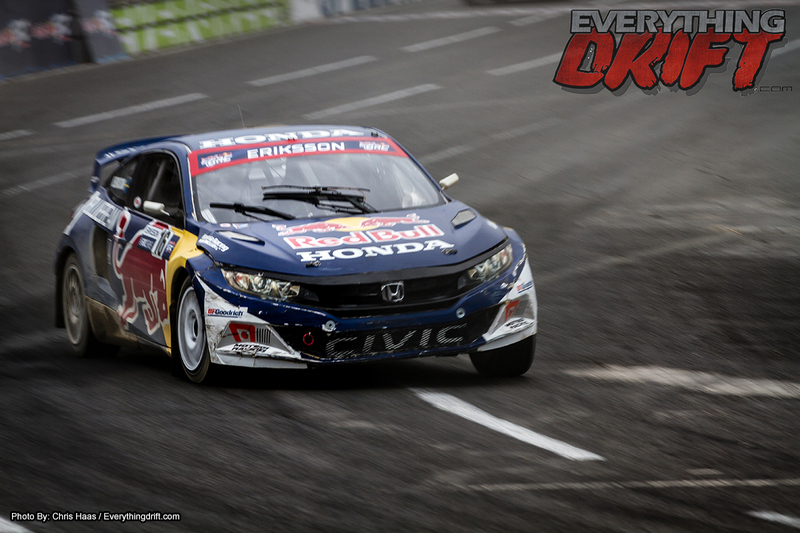 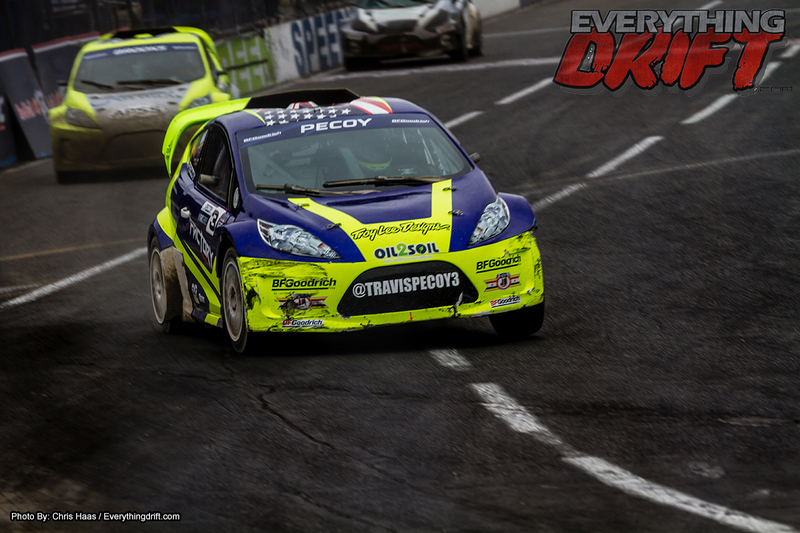 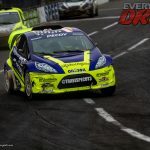 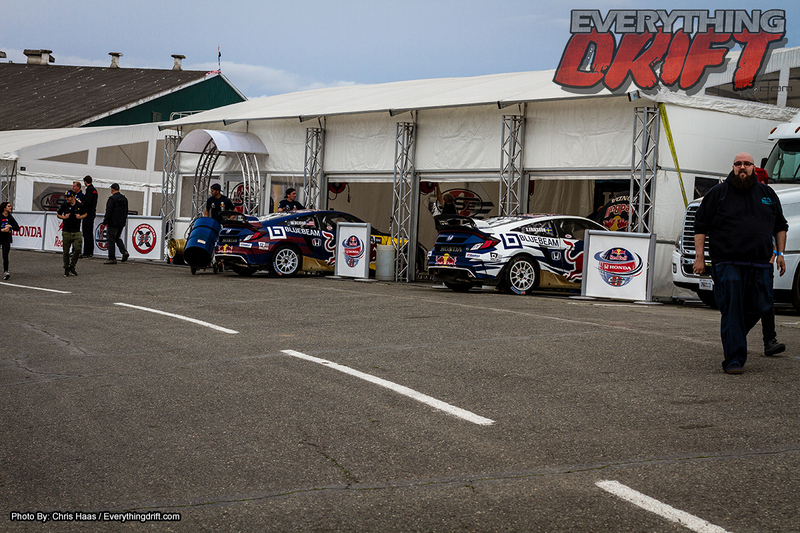 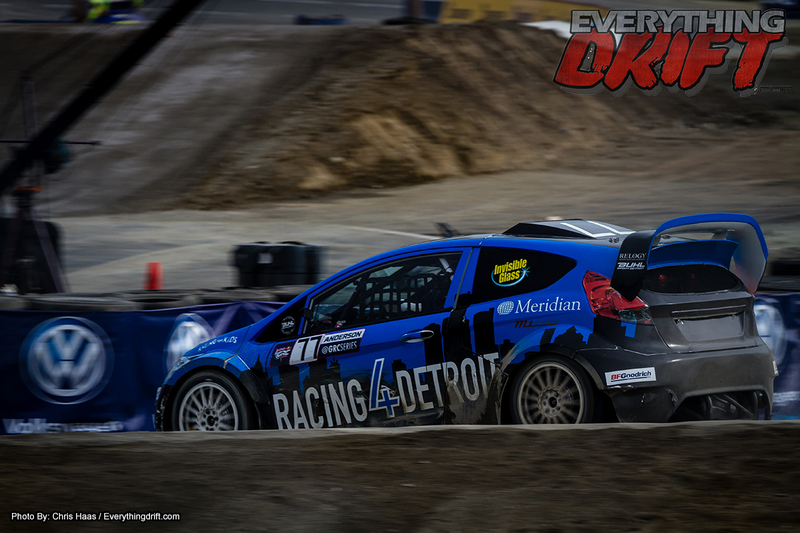 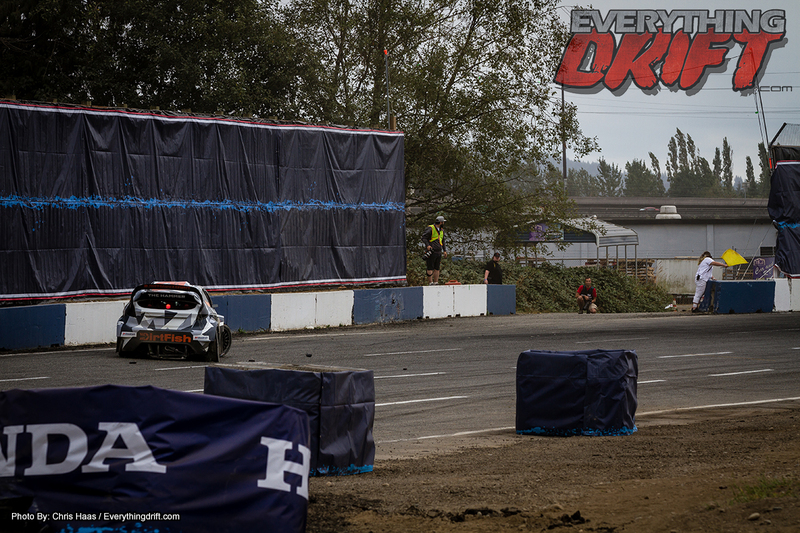 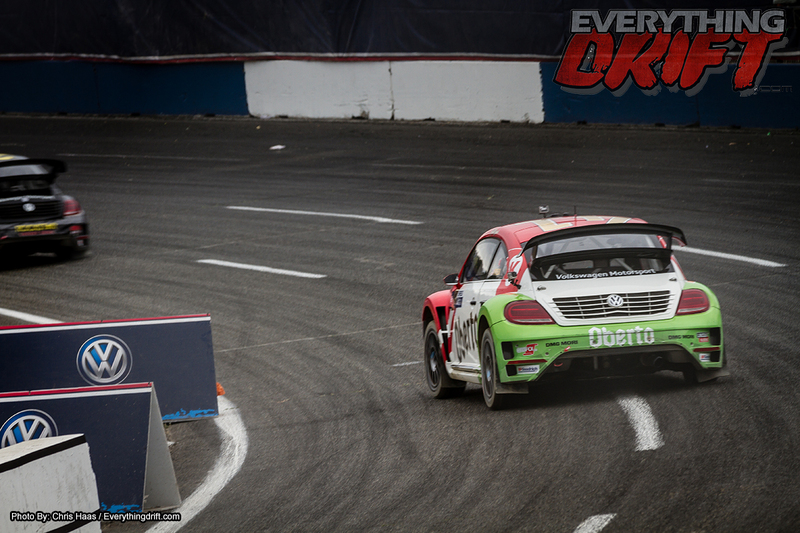 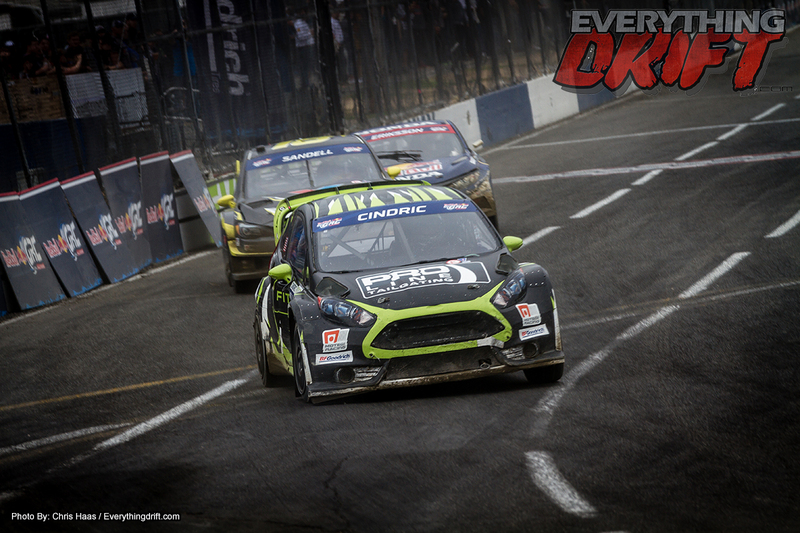 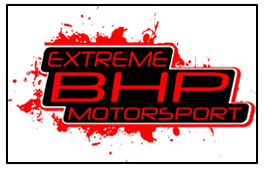 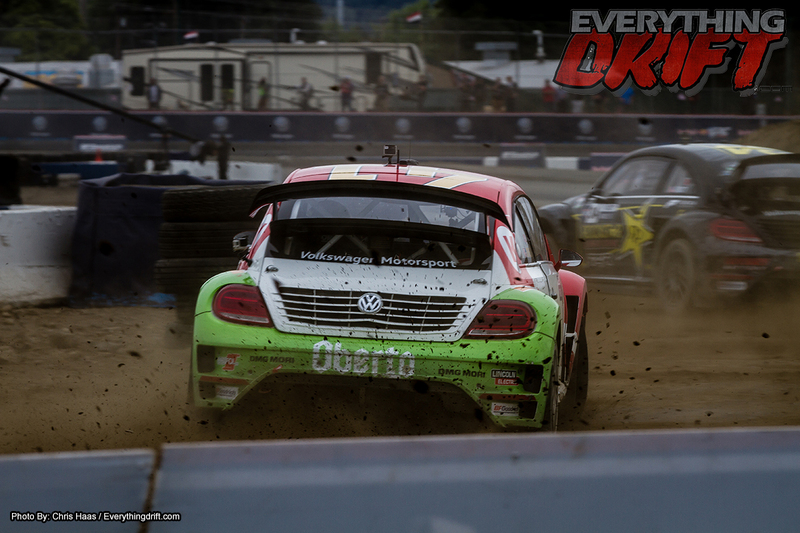 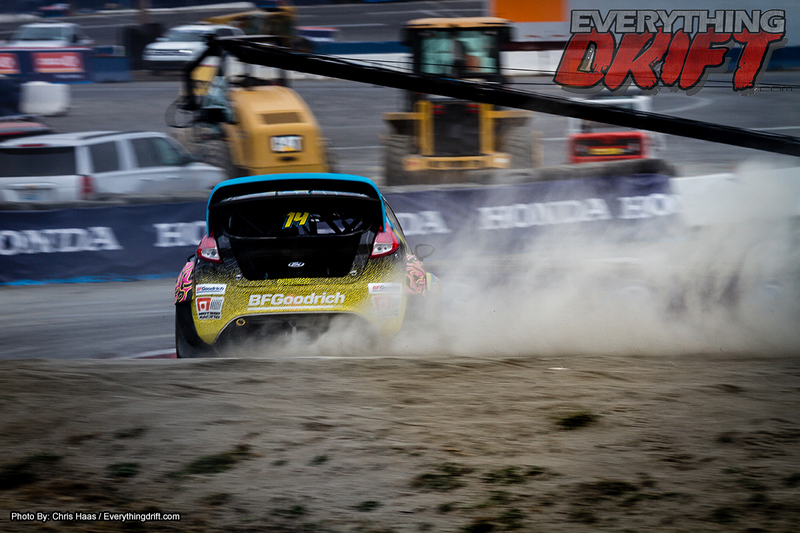 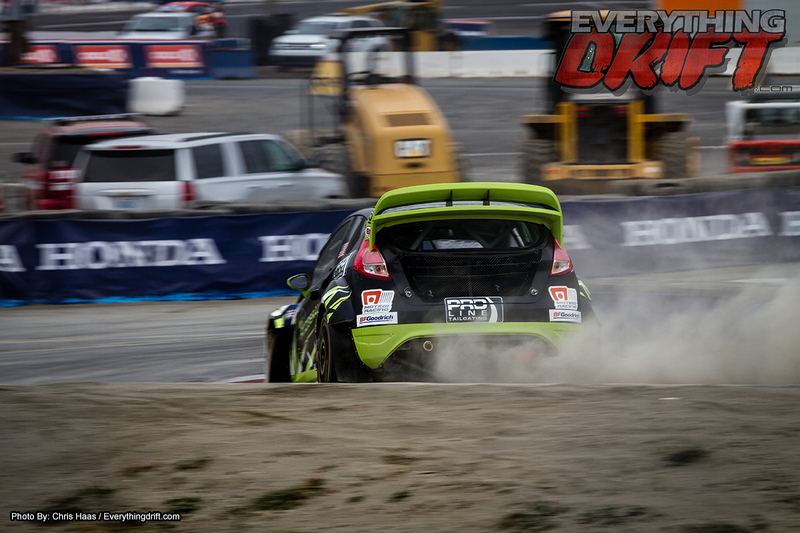 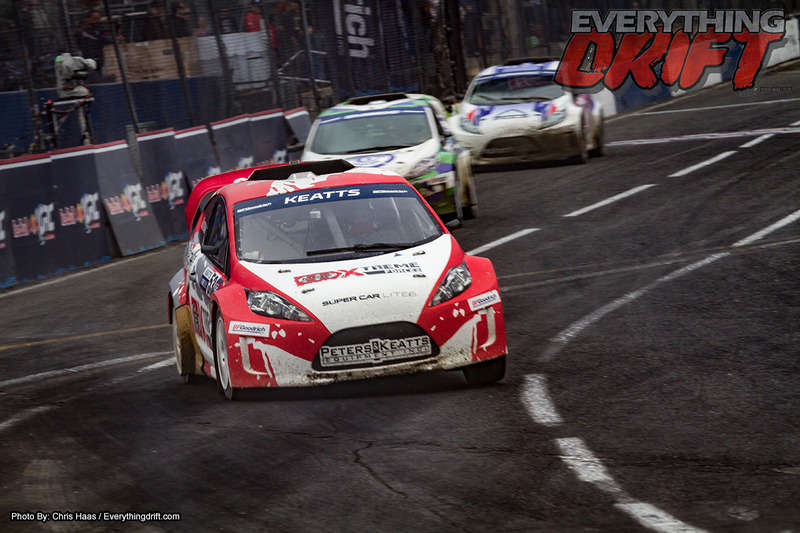 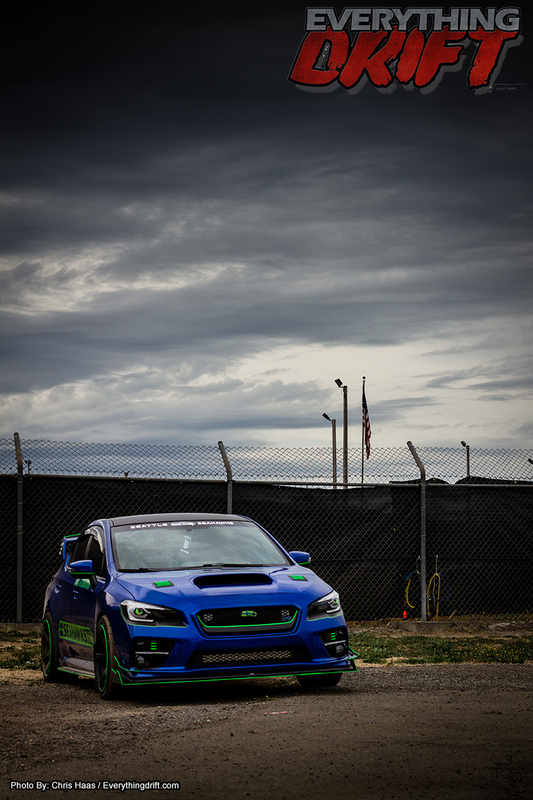 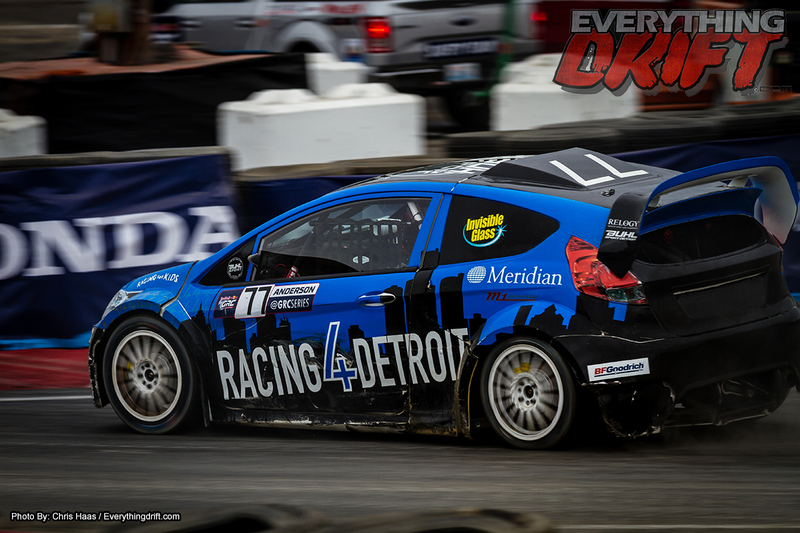 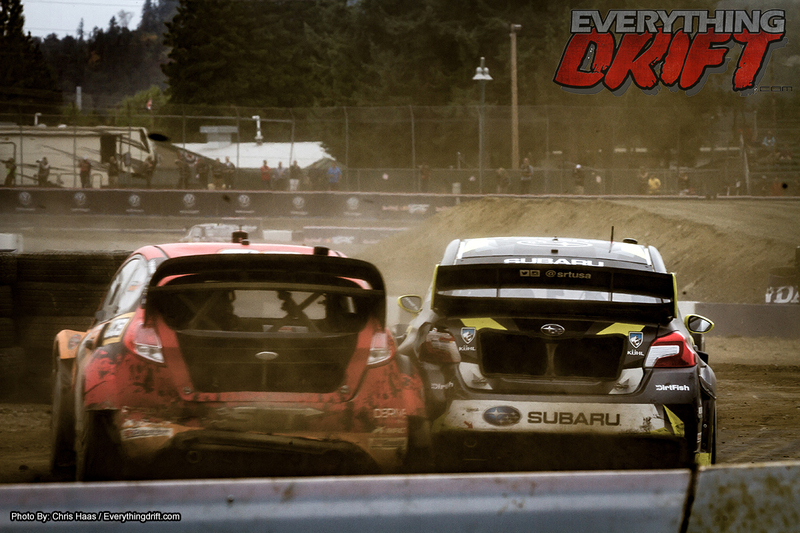 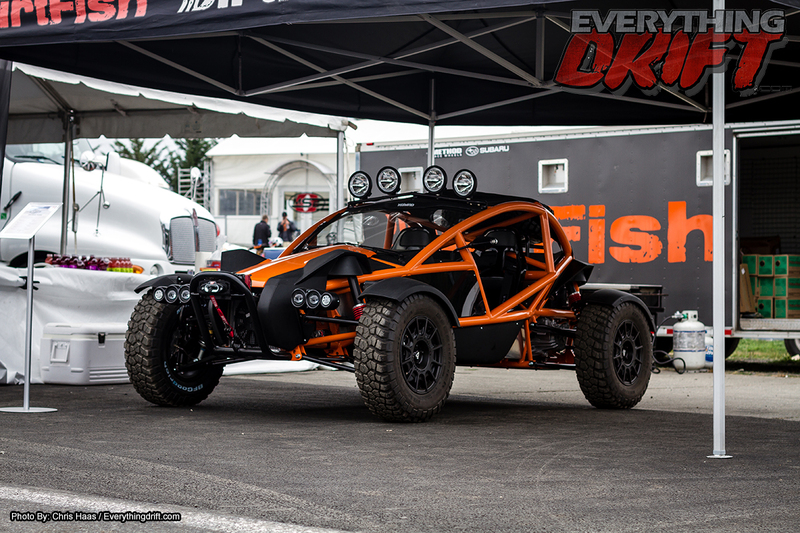 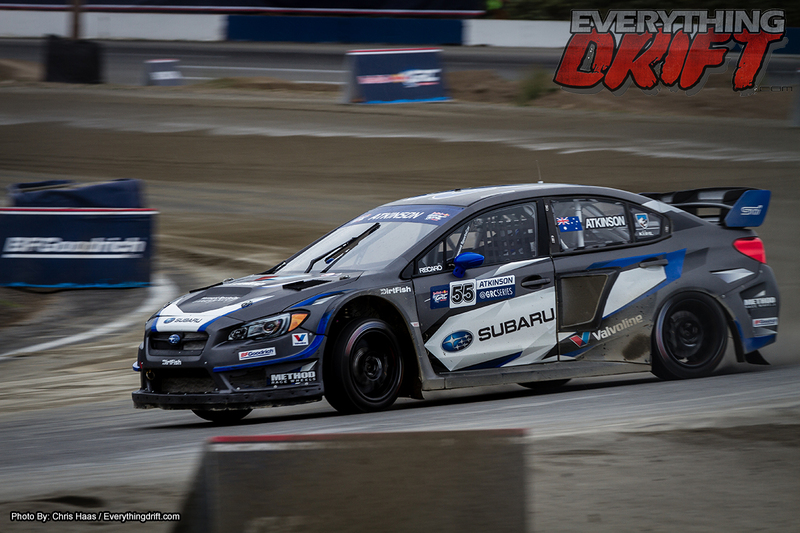 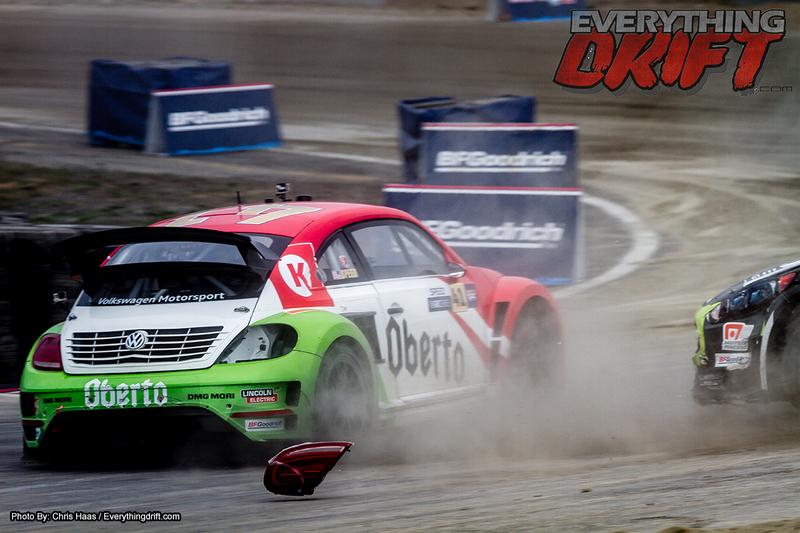 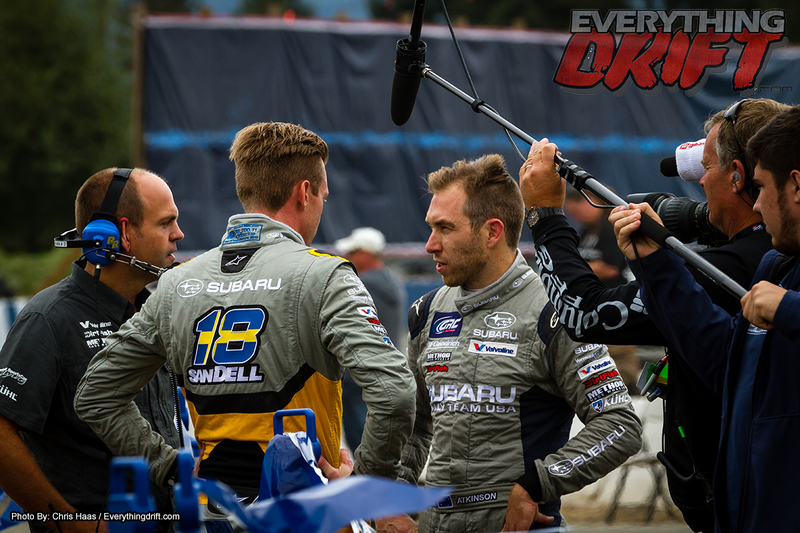 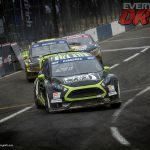 Global Rallycross! 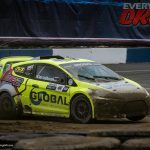 Rounds 10 and 11 – Gallery! 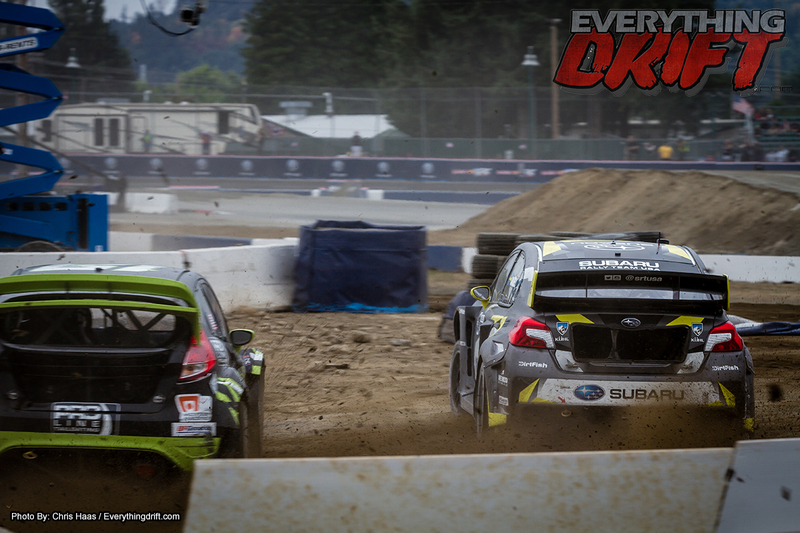 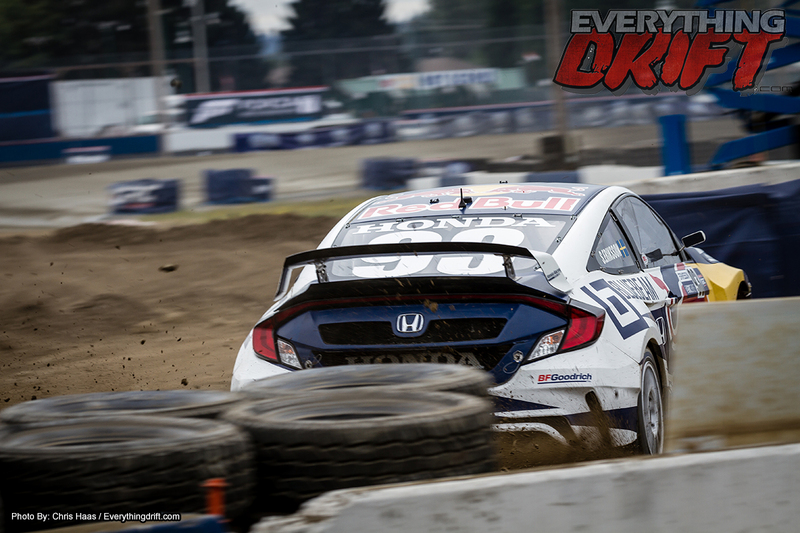 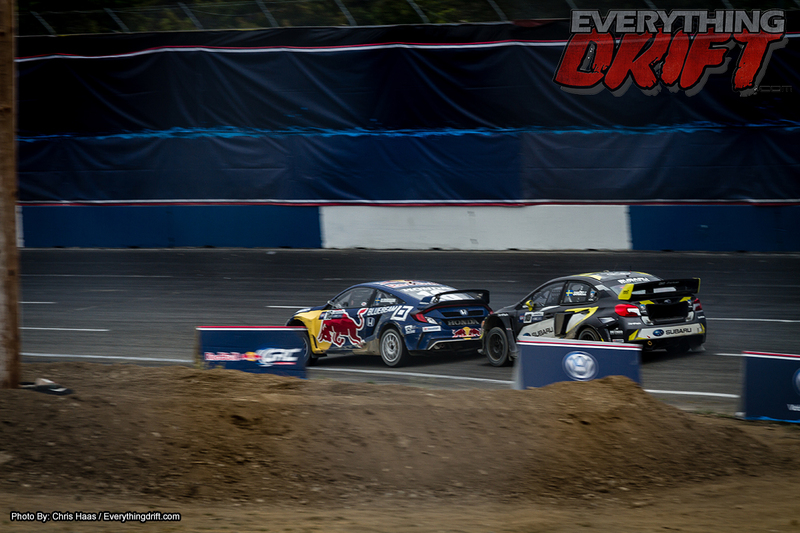 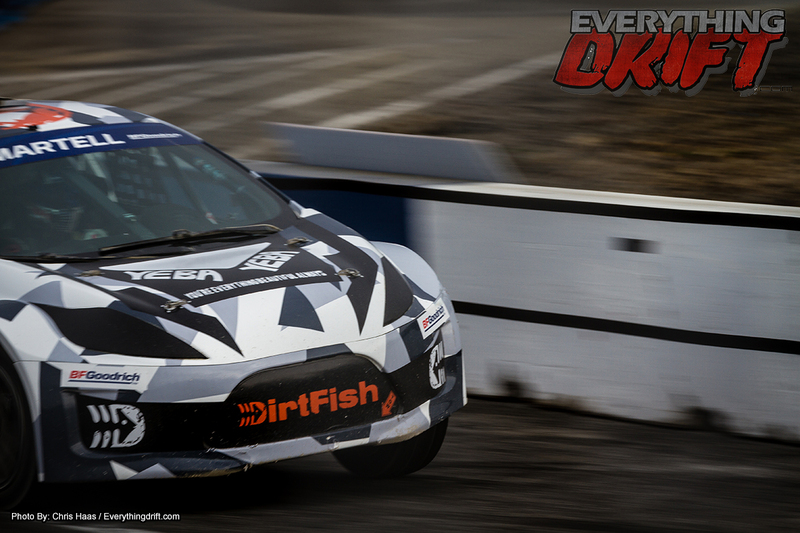 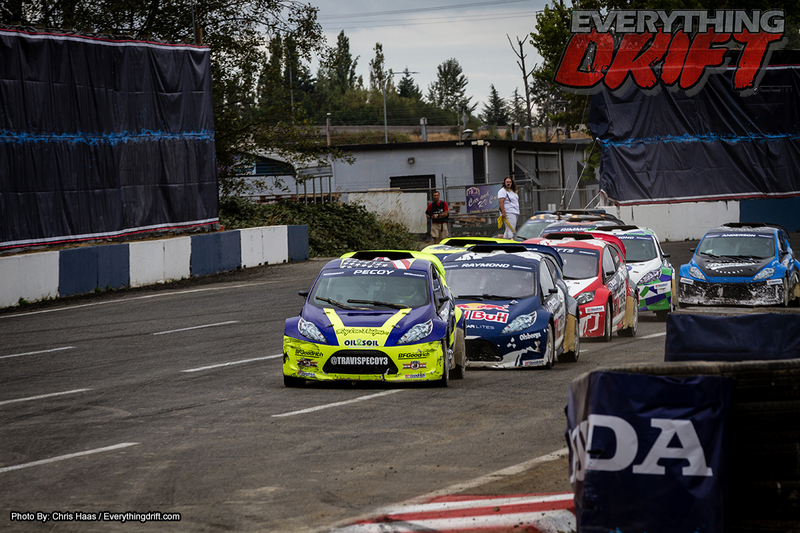 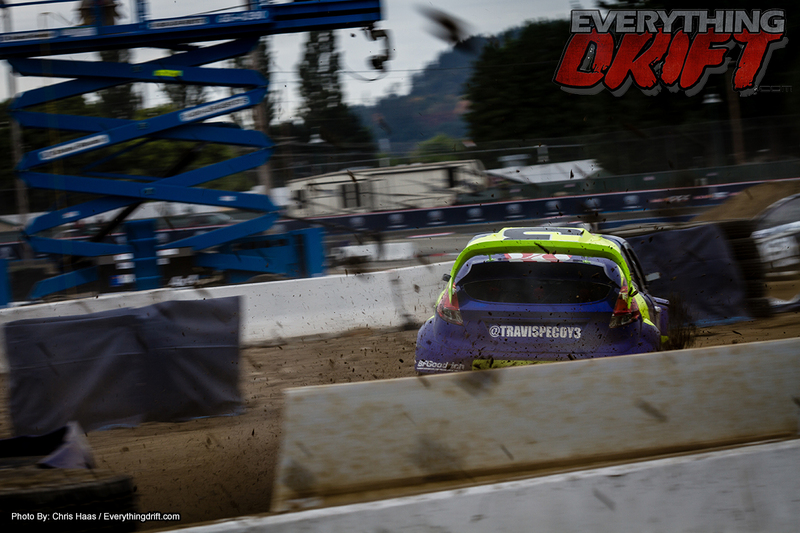 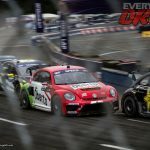 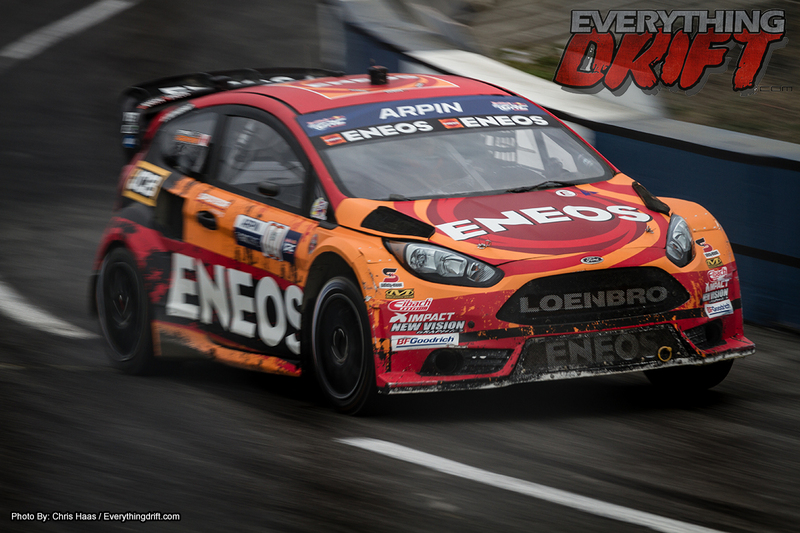 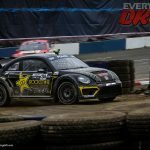 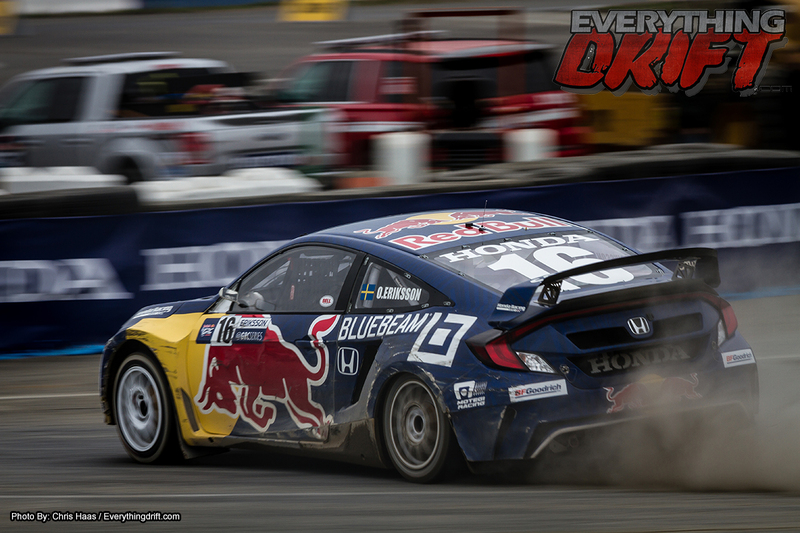 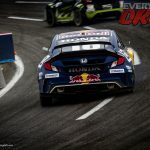 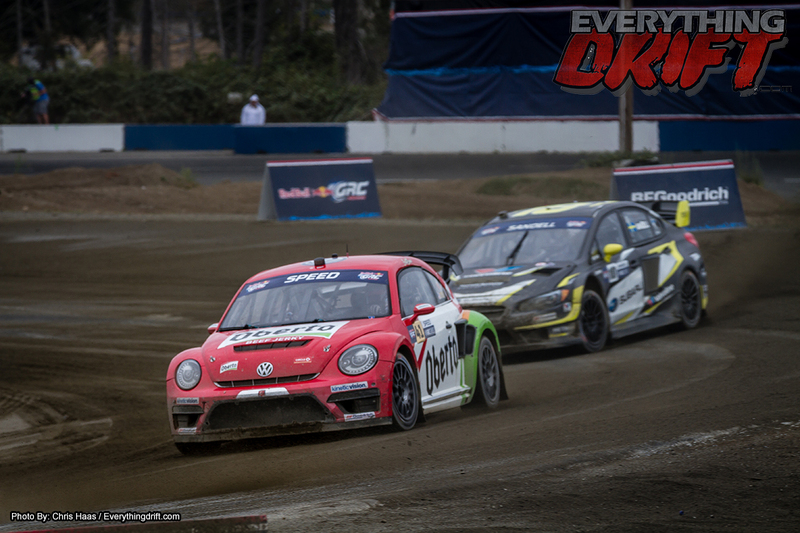 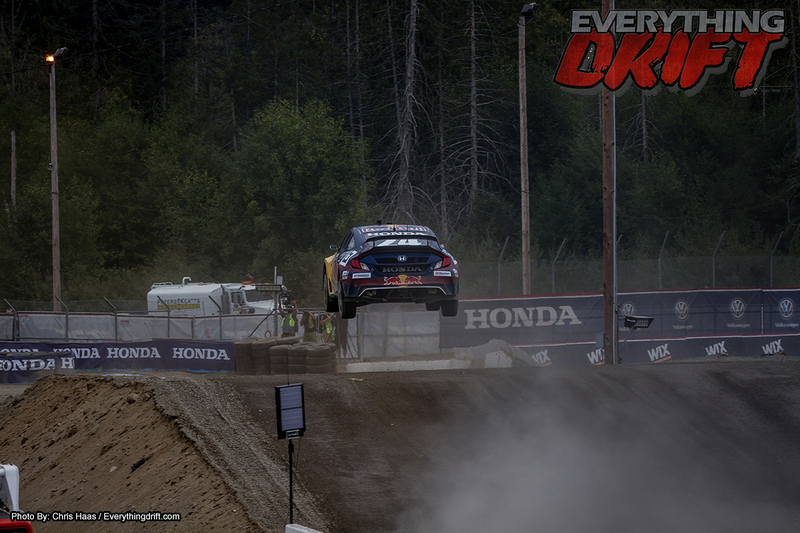 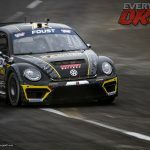 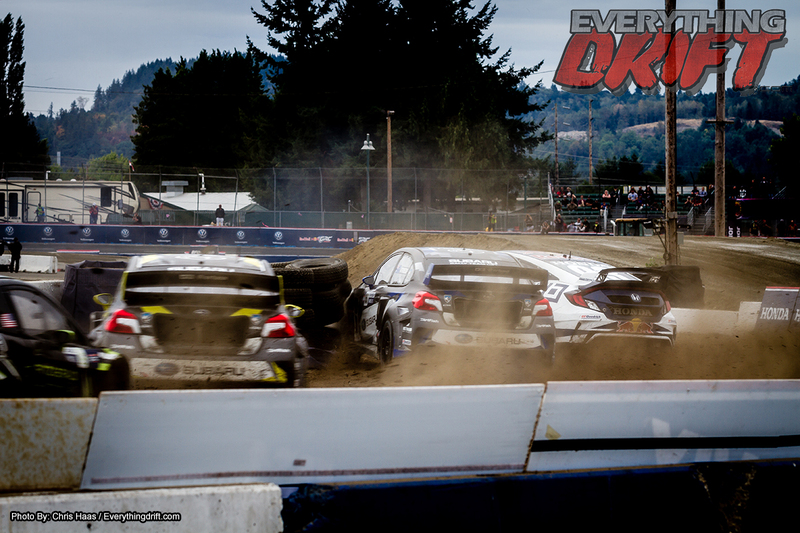 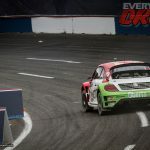 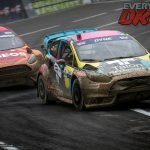 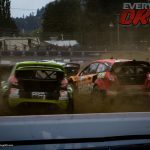 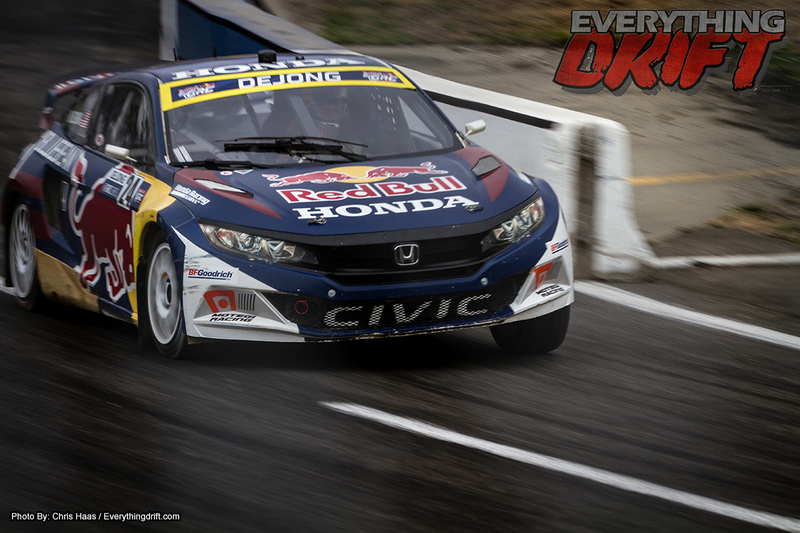 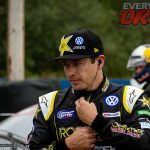 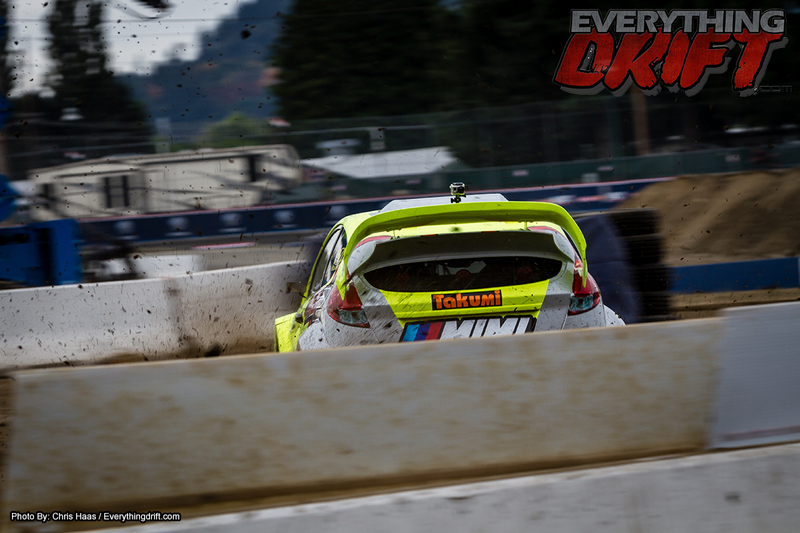 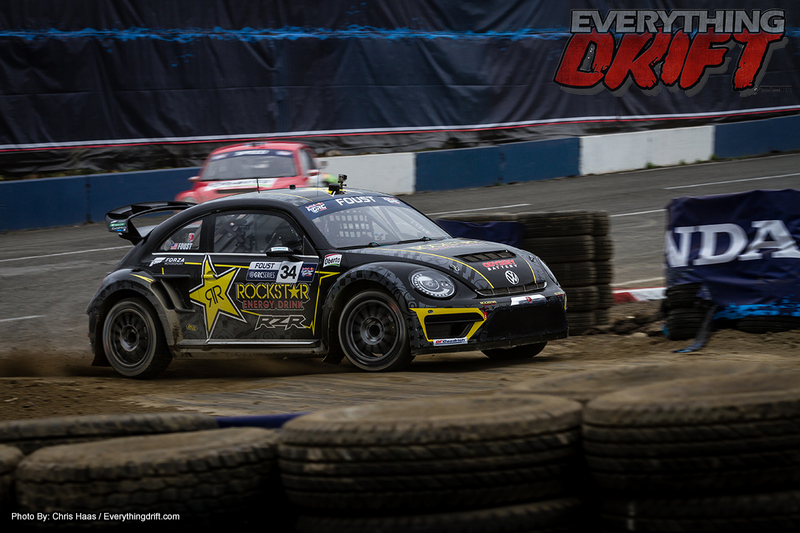 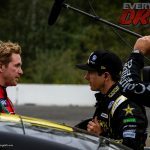 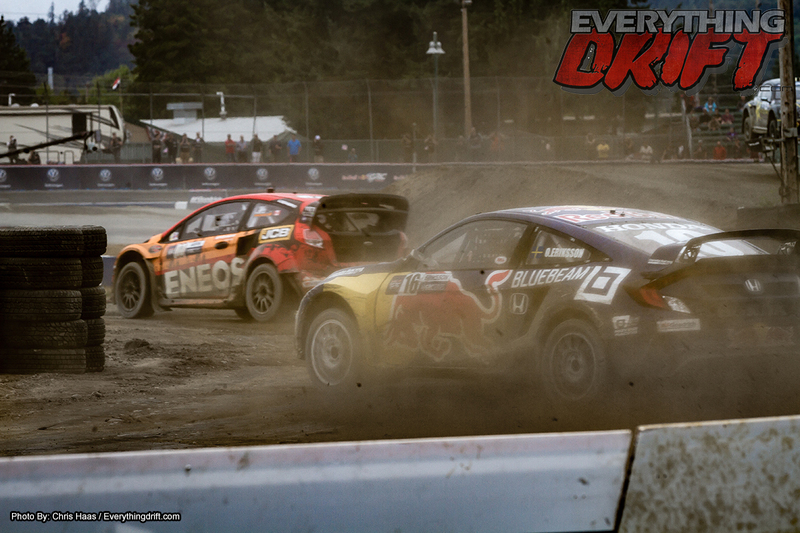 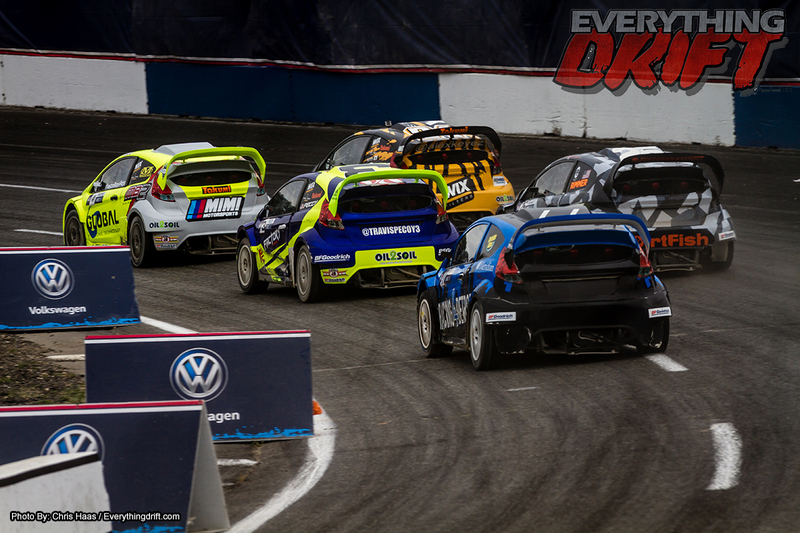 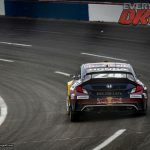 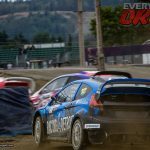 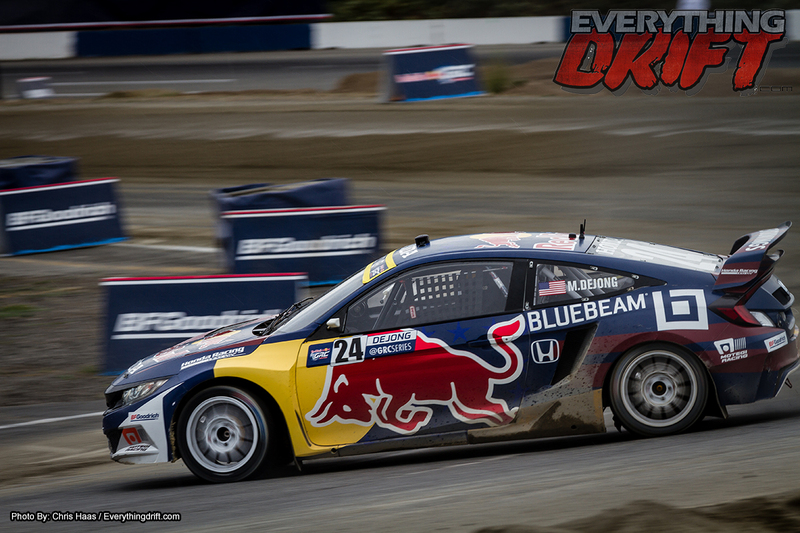 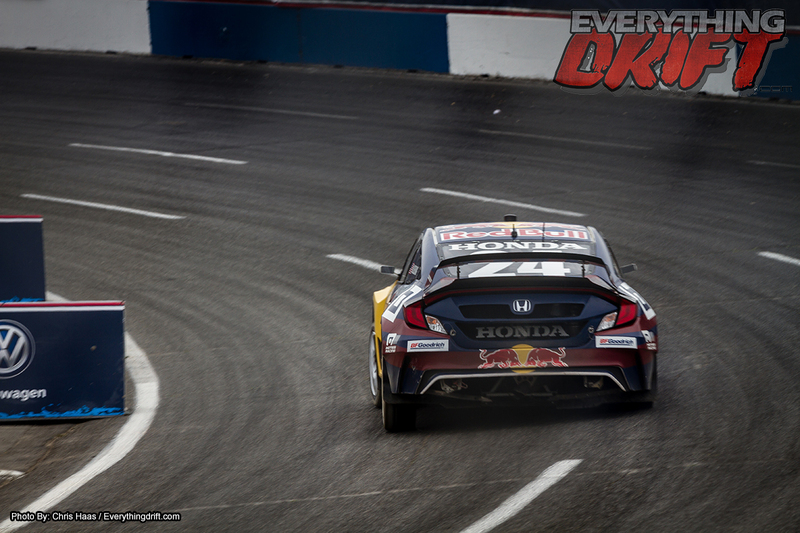 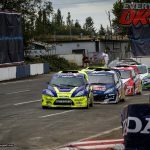 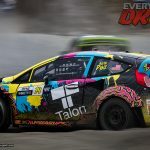 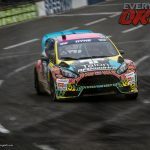 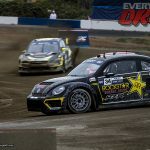 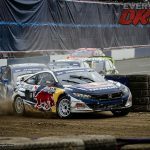 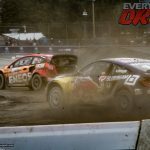 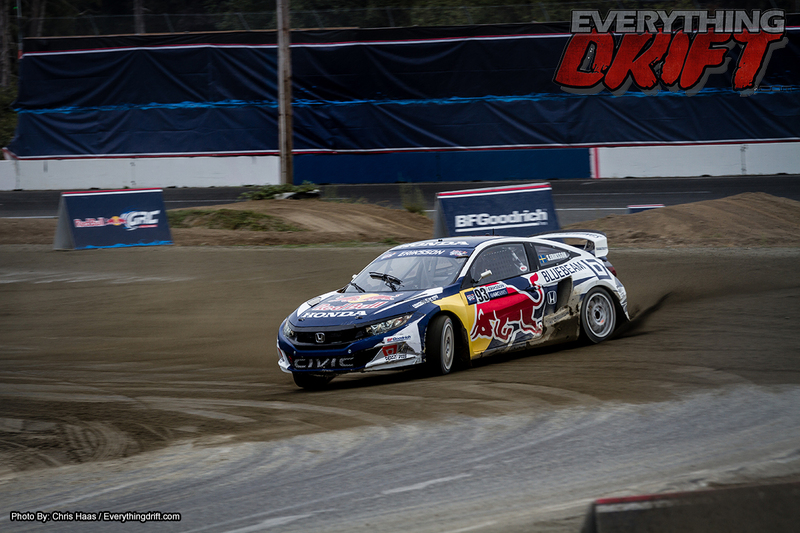 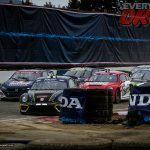 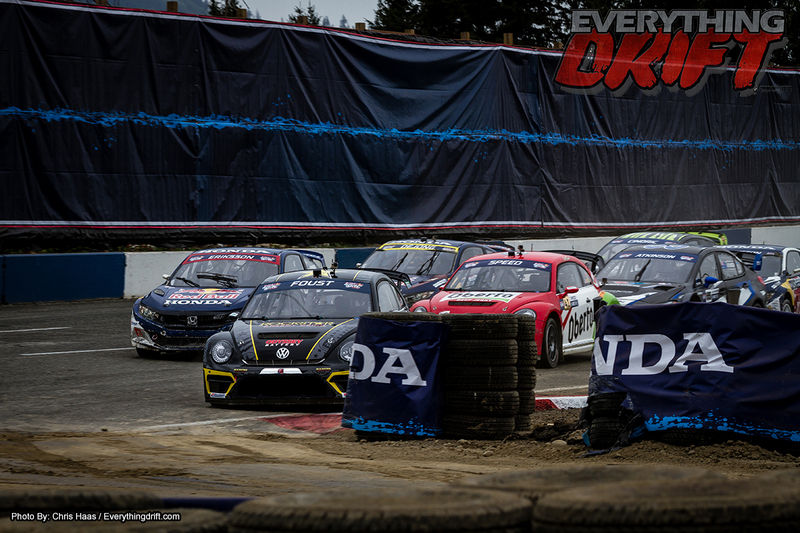 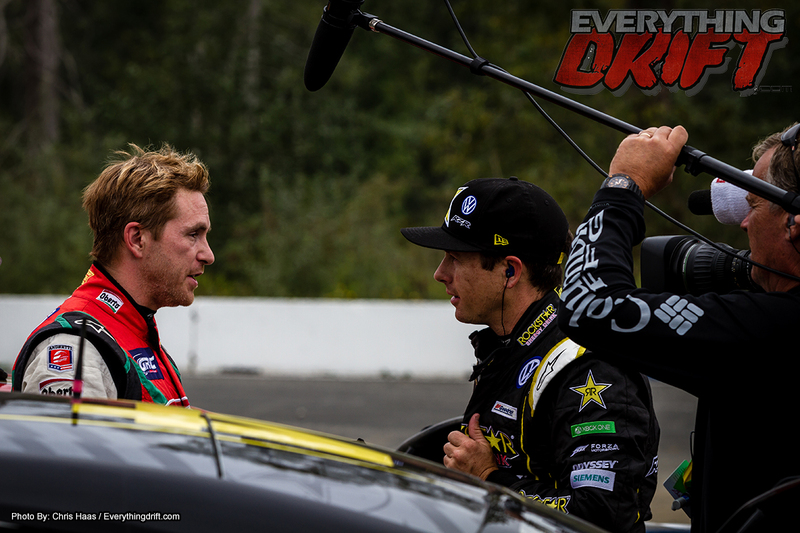 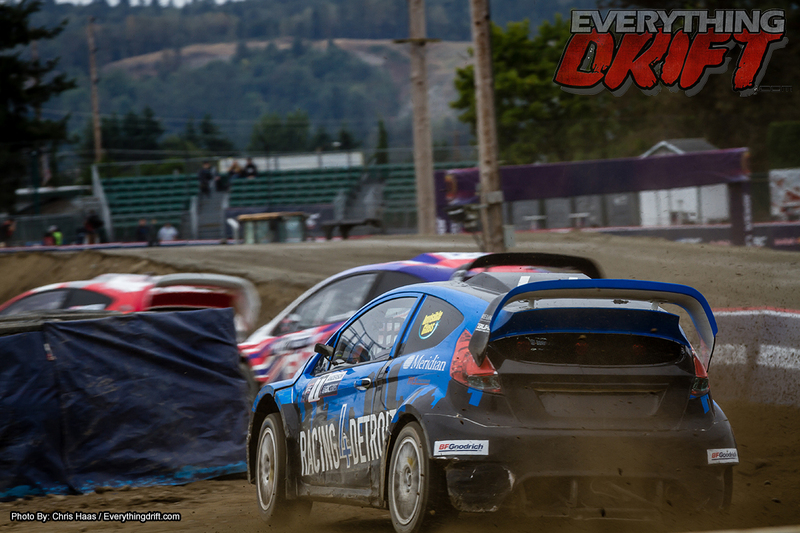 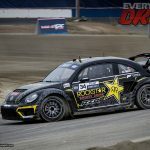 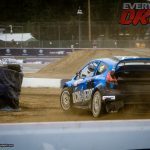 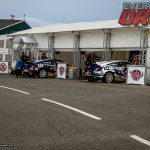 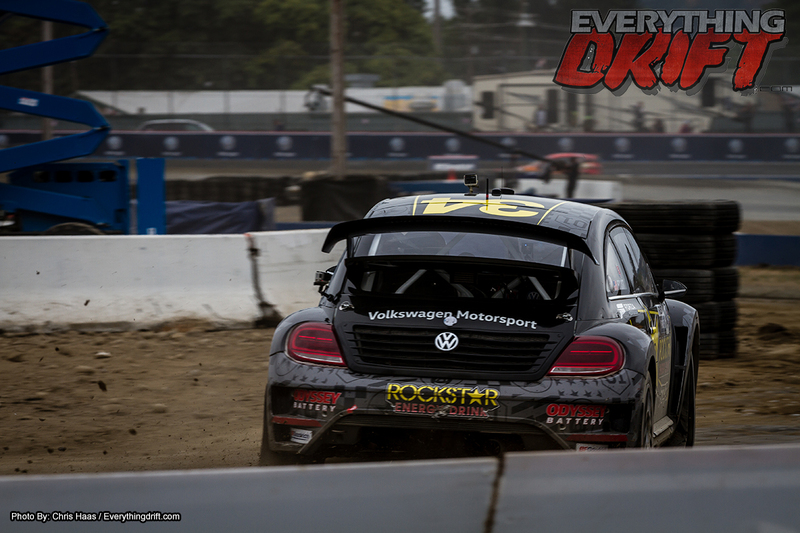 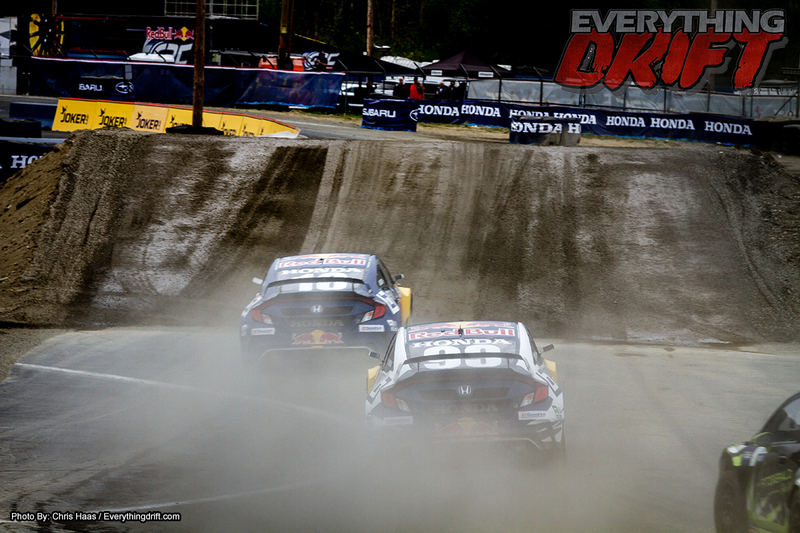 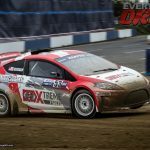 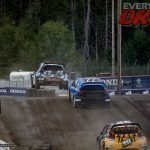 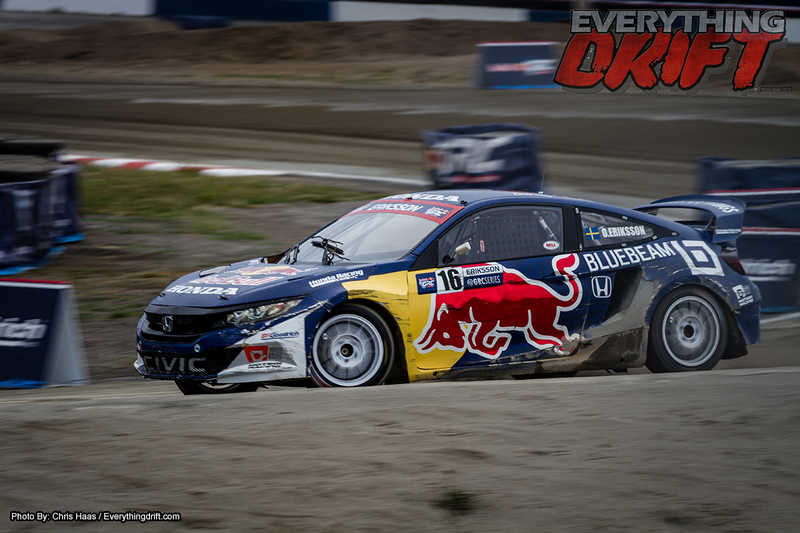 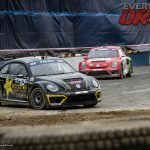 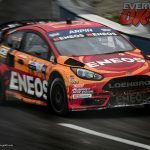 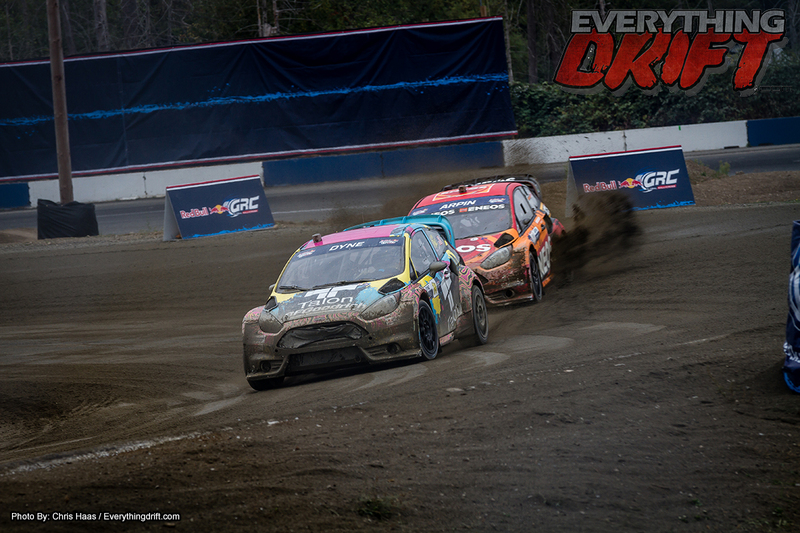 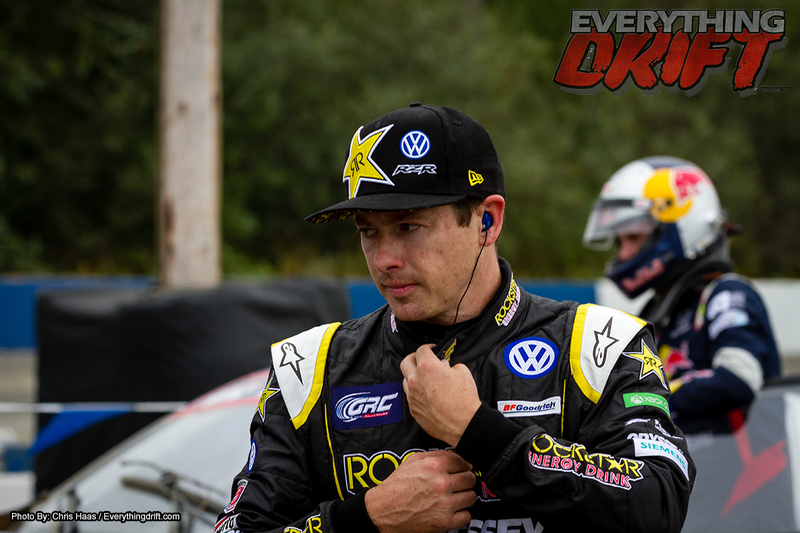 It wasn’t as smooth of a path as Saturday’s clean sweep, but Tanner Foust remained undefeated in Red Bull Global Rallycross events at Evergreen Speedway with a Supercar final victory on Sunday. 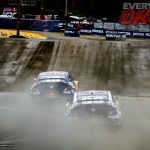 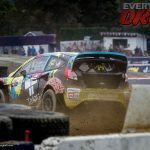 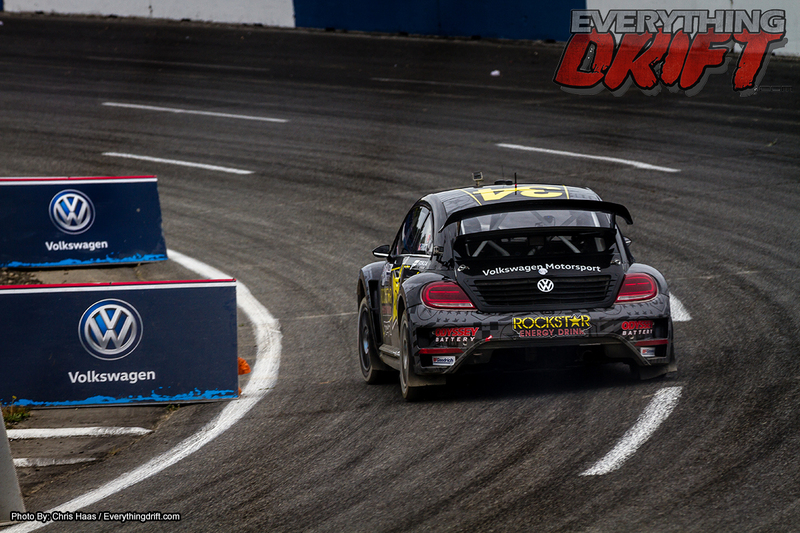 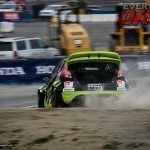 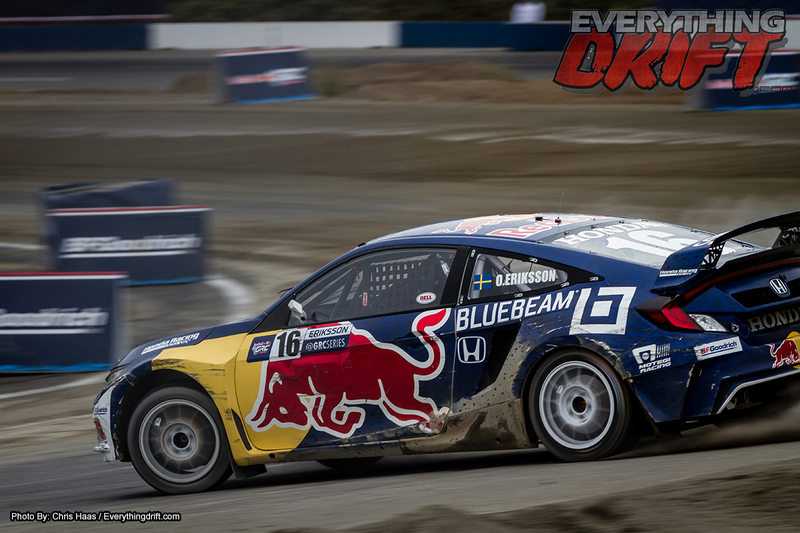 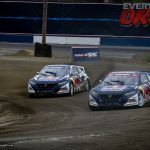 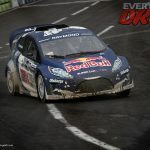 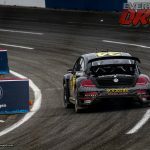 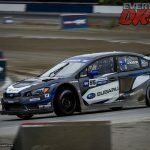 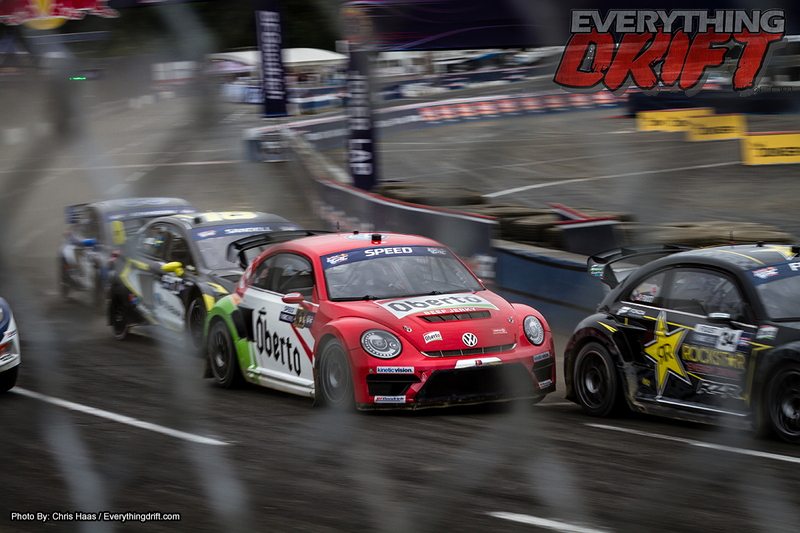 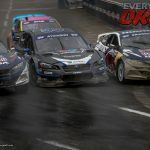 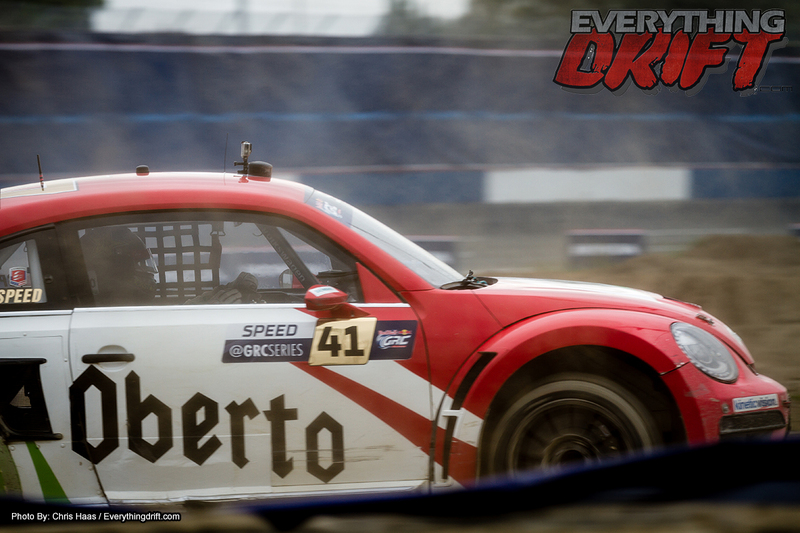 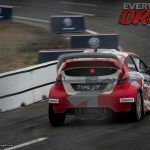 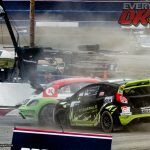 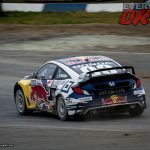 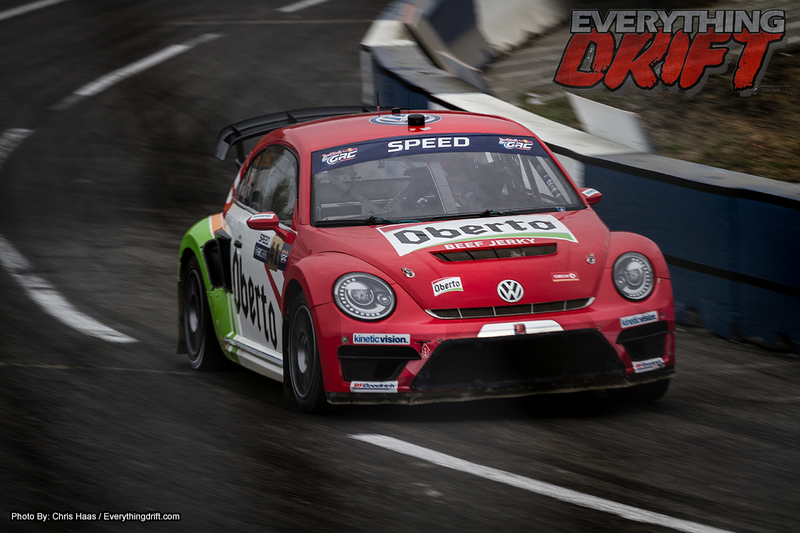 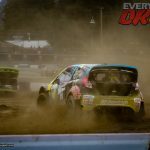 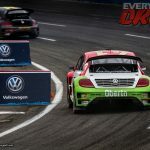 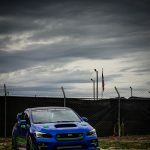 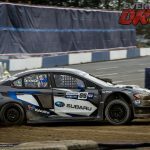 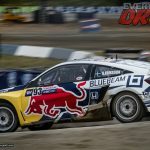 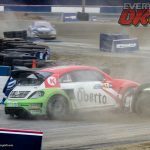 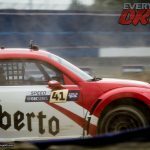 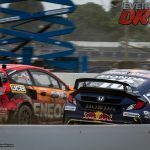 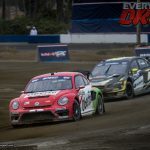 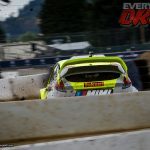 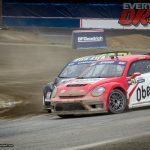 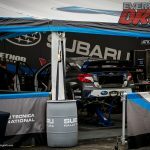 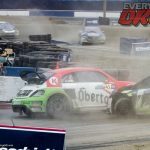 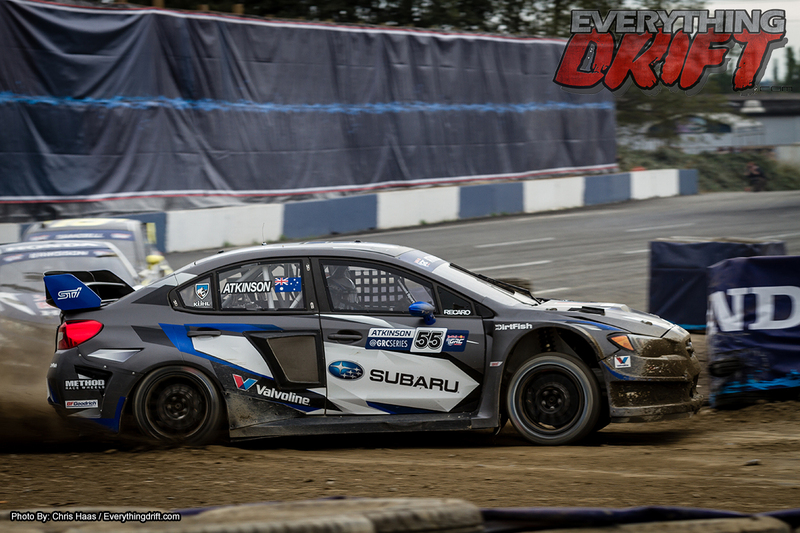 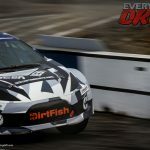 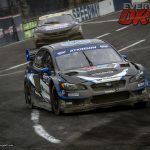 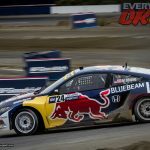 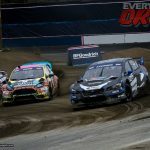 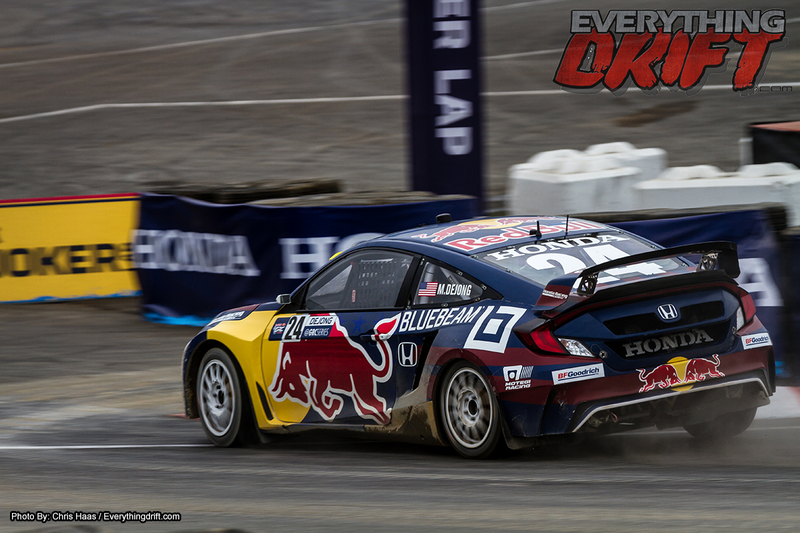 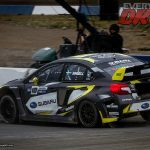 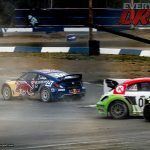 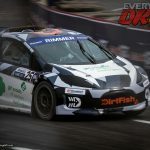 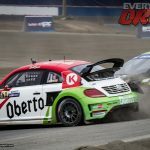 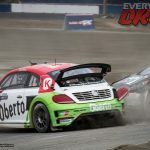 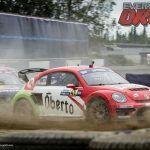 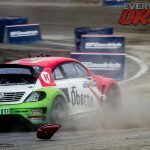 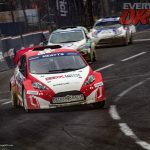 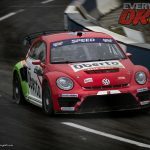 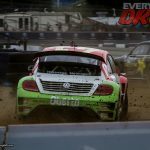 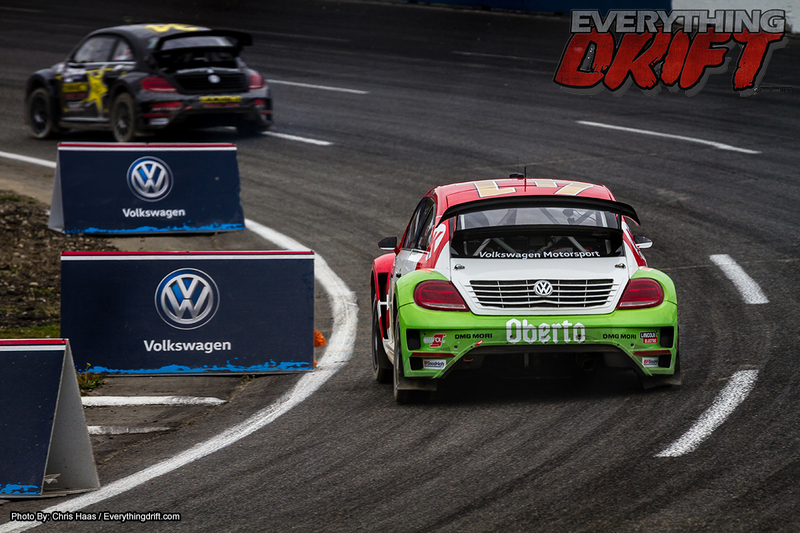 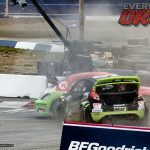 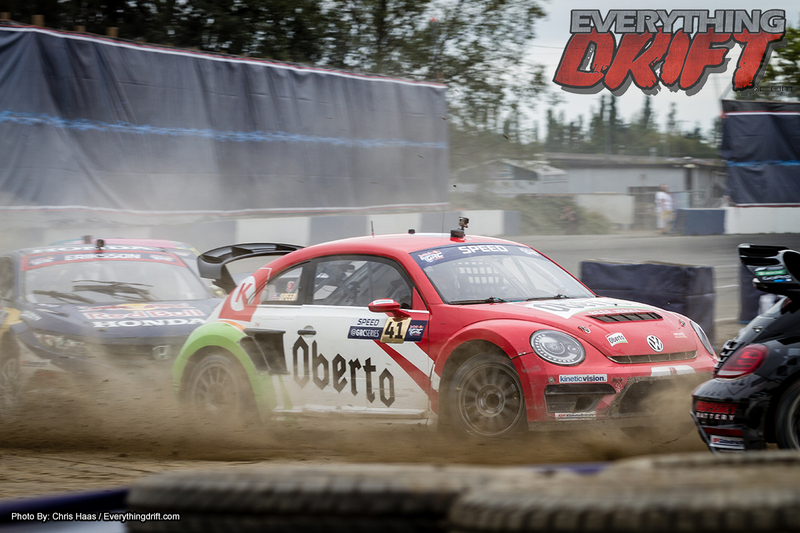 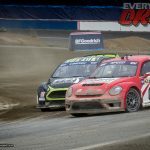 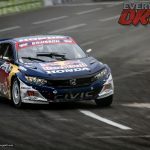 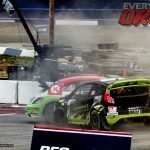 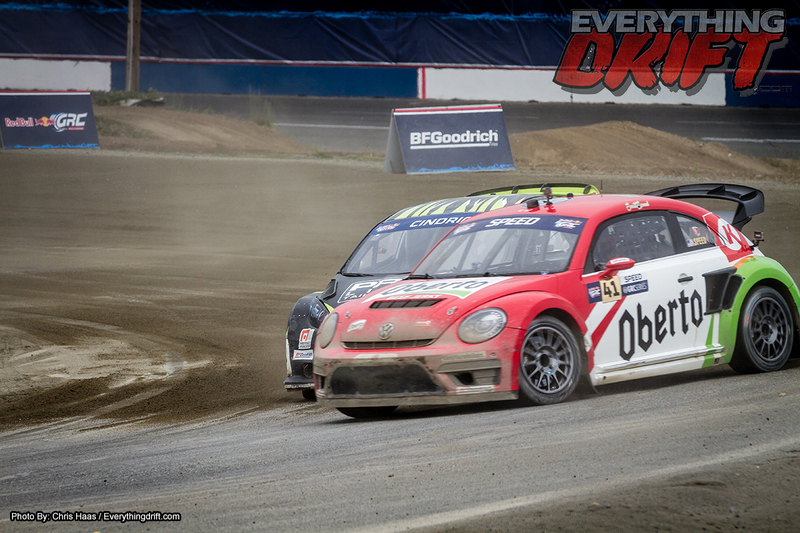 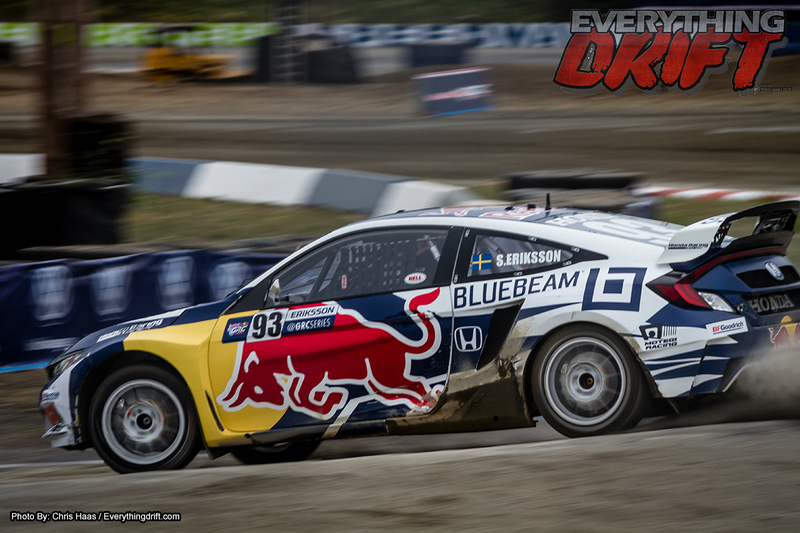 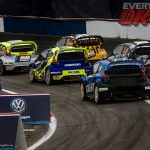 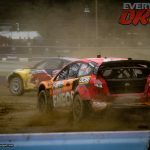 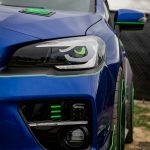 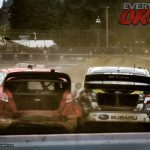 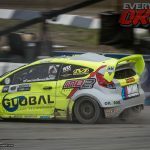 Foust bested his Volkswagen Andretti Rallycross teammate Scott Speed, who had been perfect heading into the main event, with Subaru Rally Team USA’s Patrik Sandell finishing third. 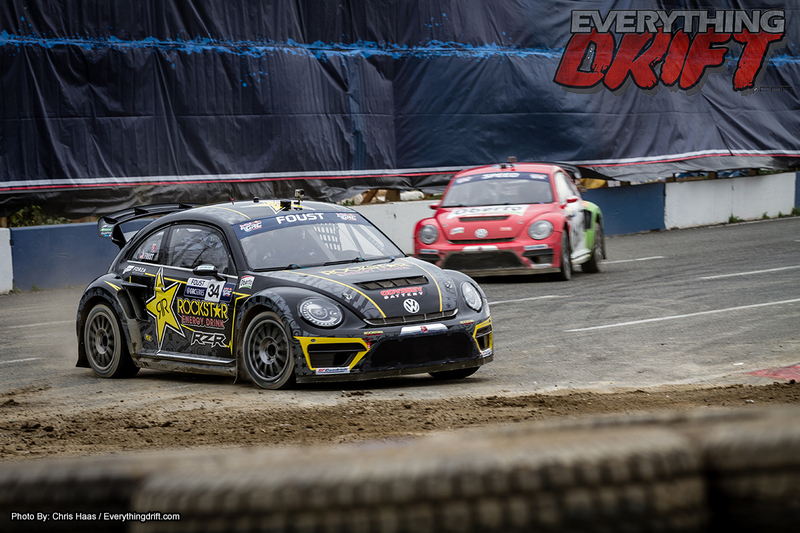 Much like Foust on Saturday, Speed was perfect in his heats and semifinals to take the top spot heading into the main event. 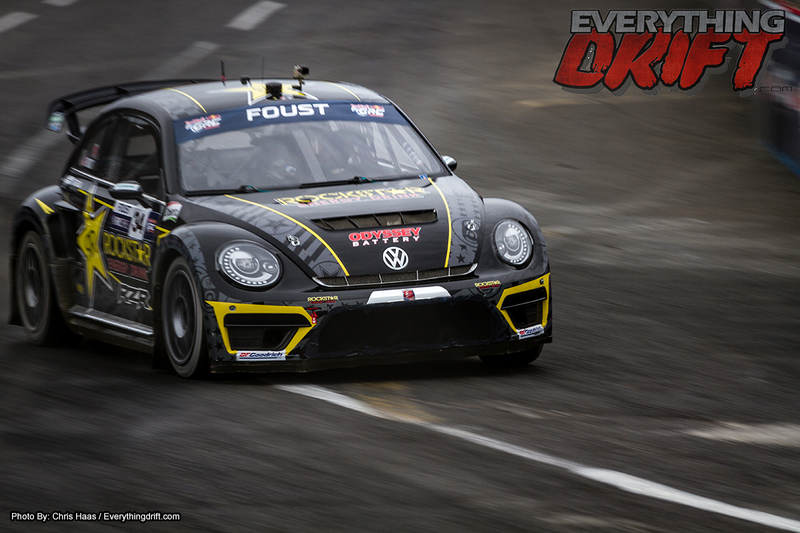 But a terrific start from Foust, the four-time Fan Favorite Driver of the Year, enabled him to grab a lead that he would never relinquish. 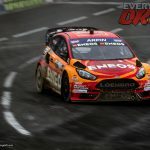 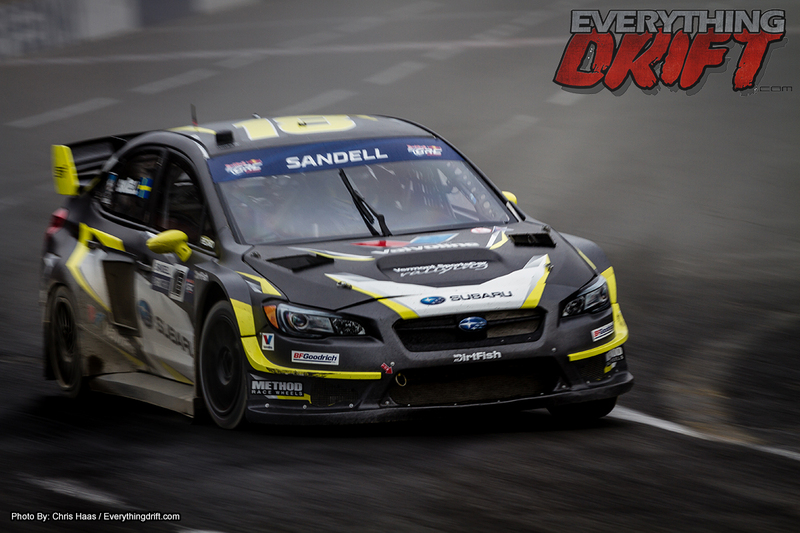 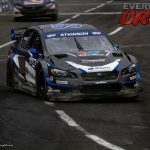 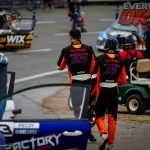 Behind them, Sunday polesitter Sandell would take his second podium in the past four races, while Supercar newcomer Austin Cindric and Saturday polesitter Chris Atkinson would complete the top five. 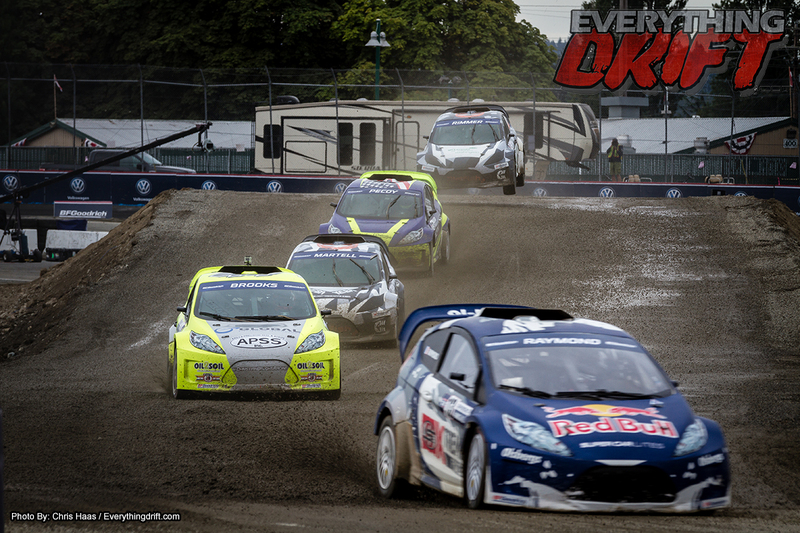 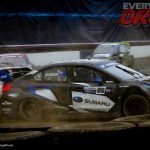 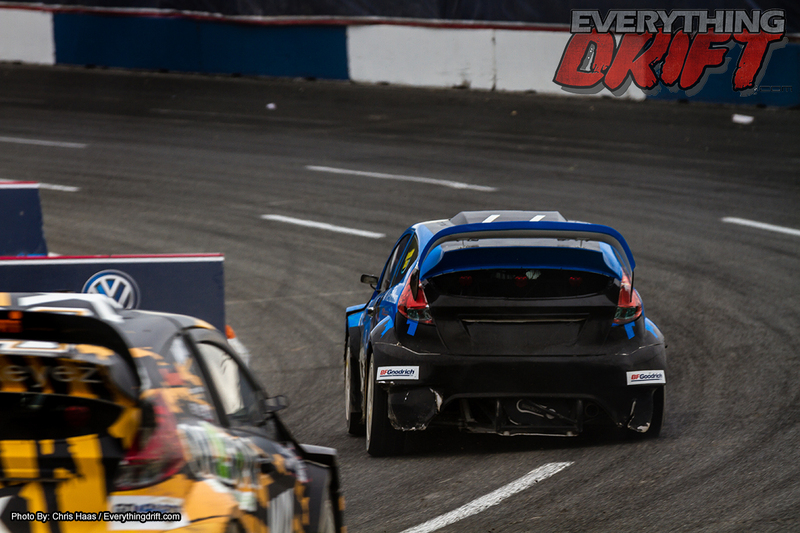 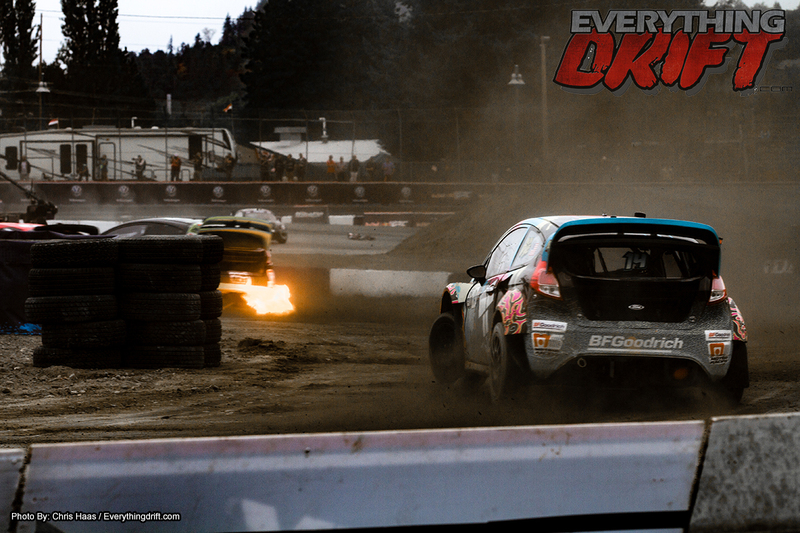 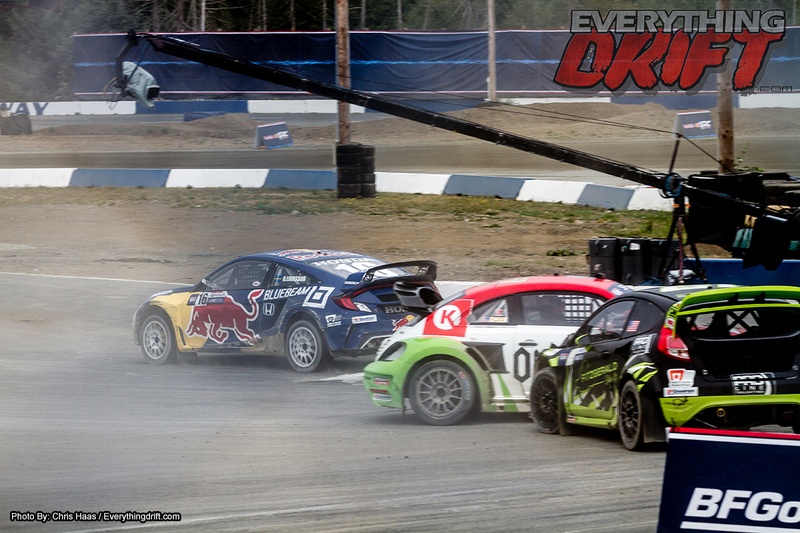 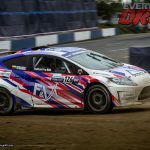 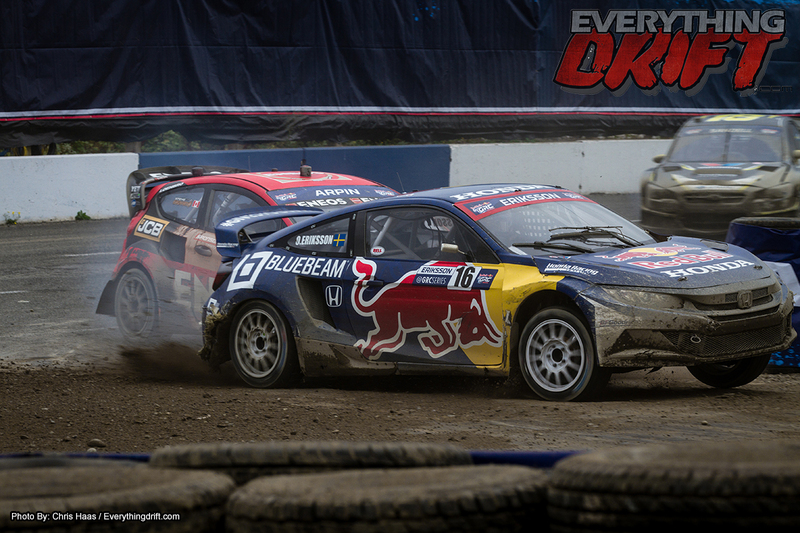 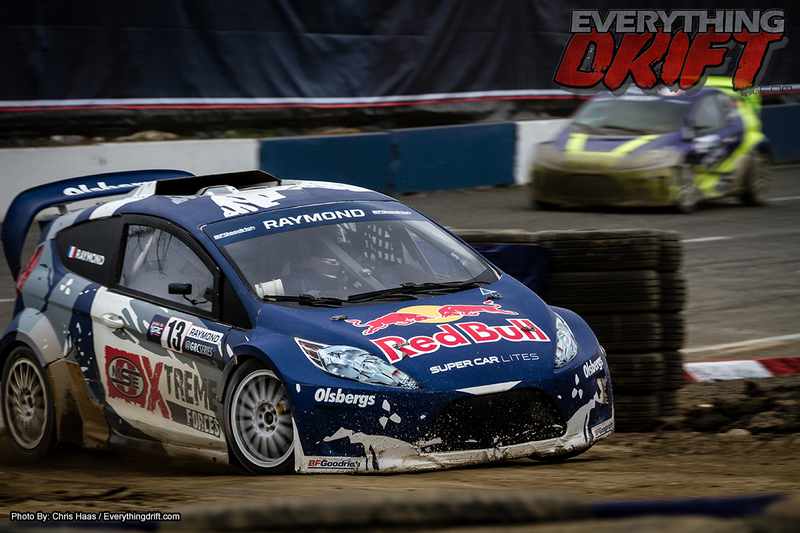 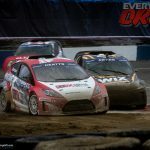 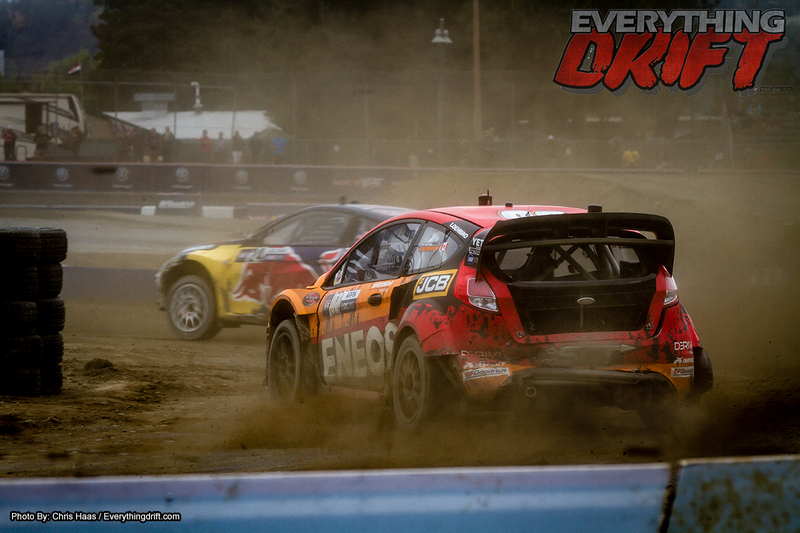 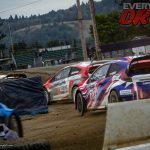 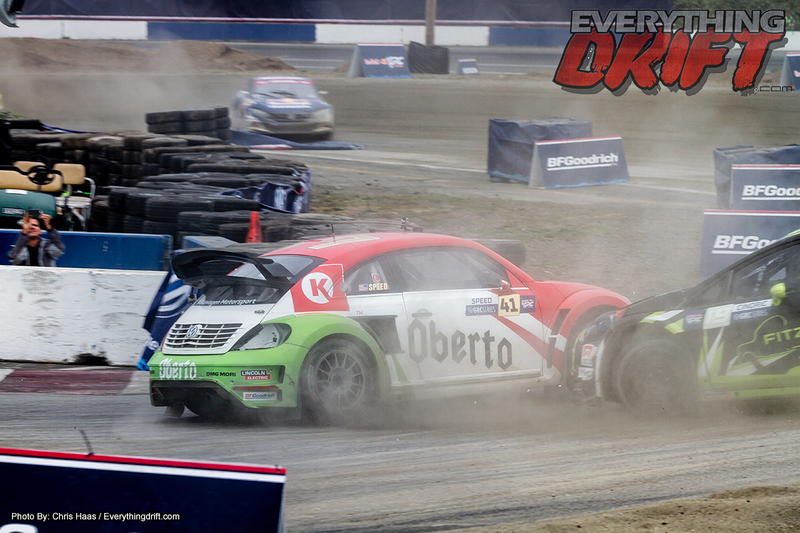 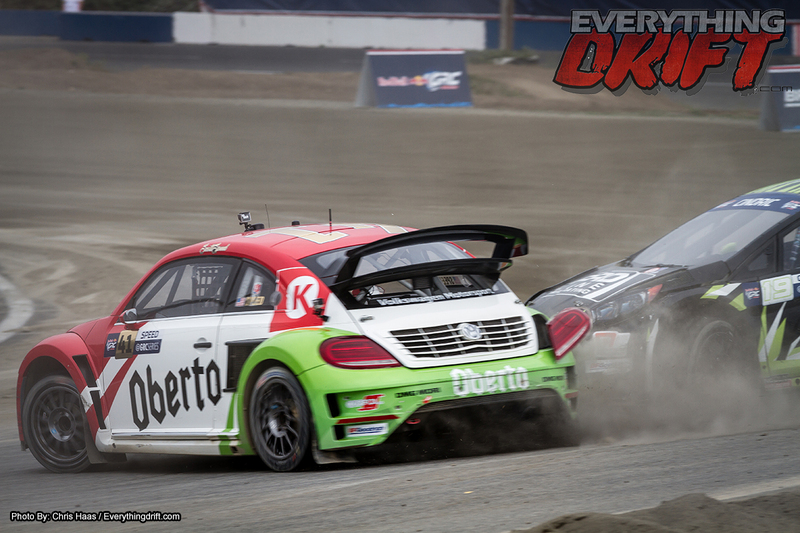 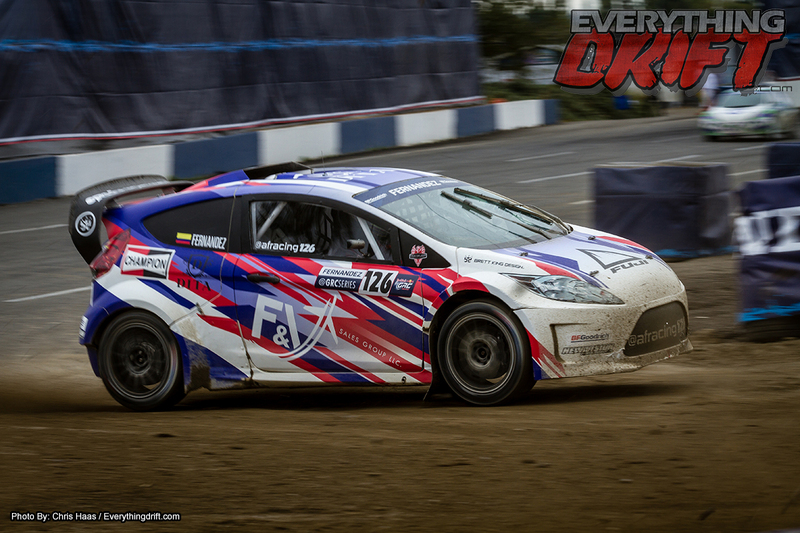 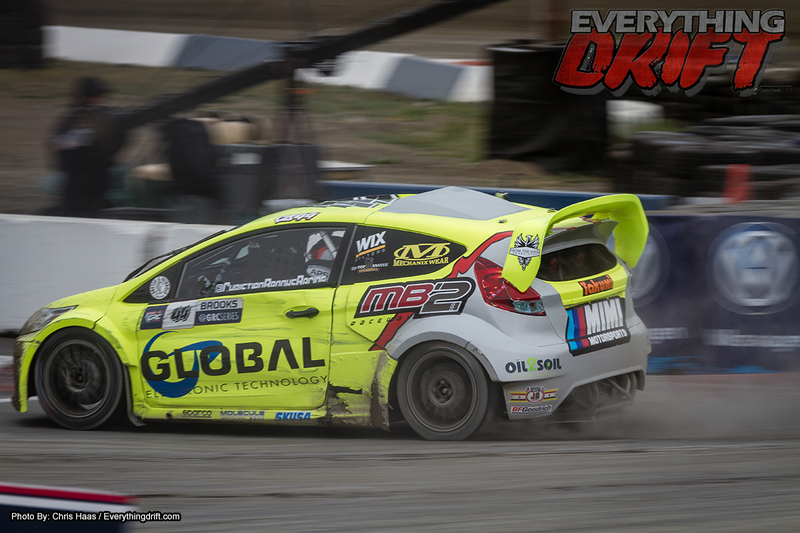 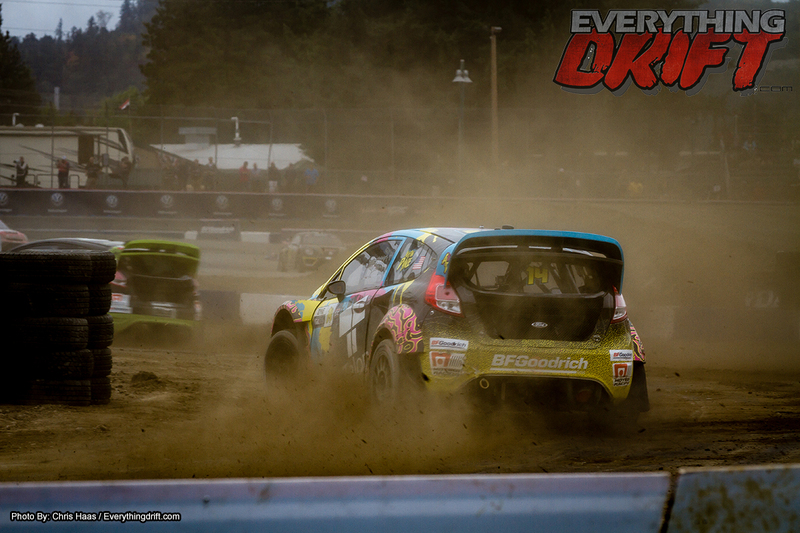 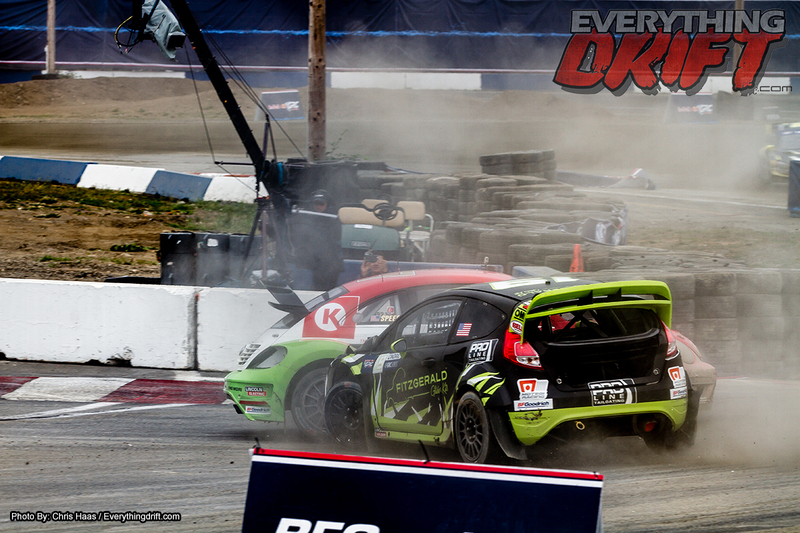 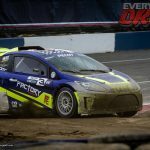 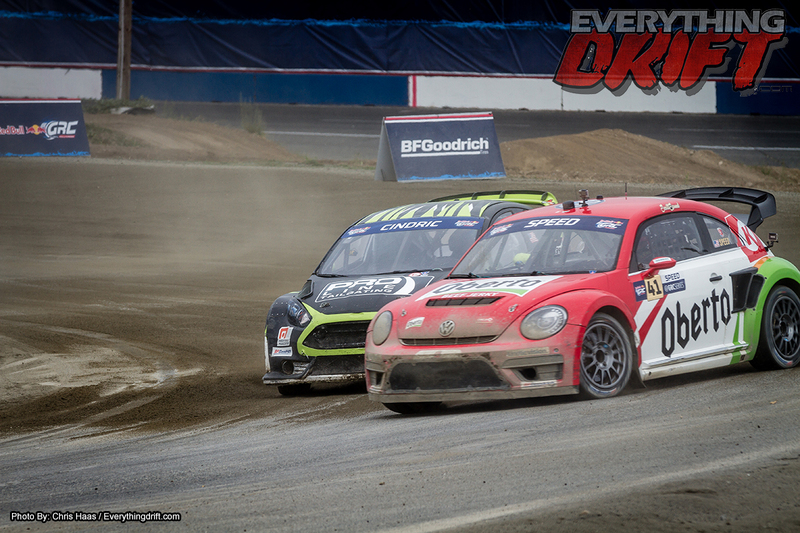 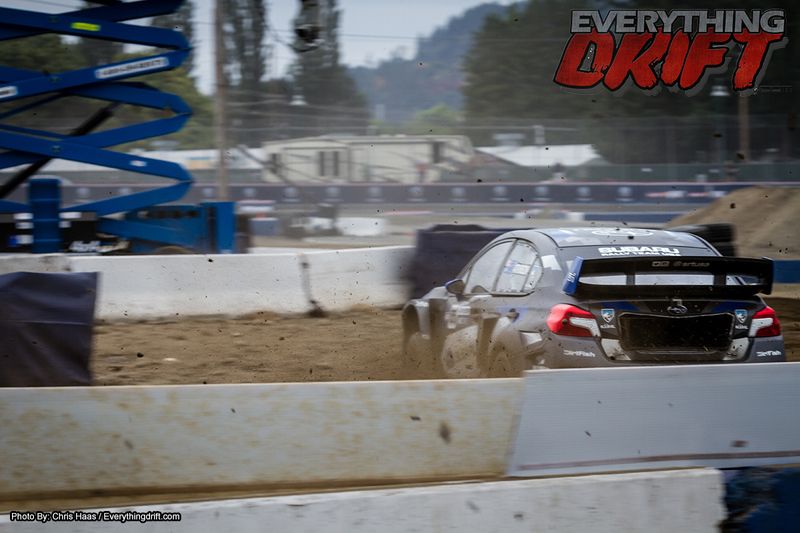 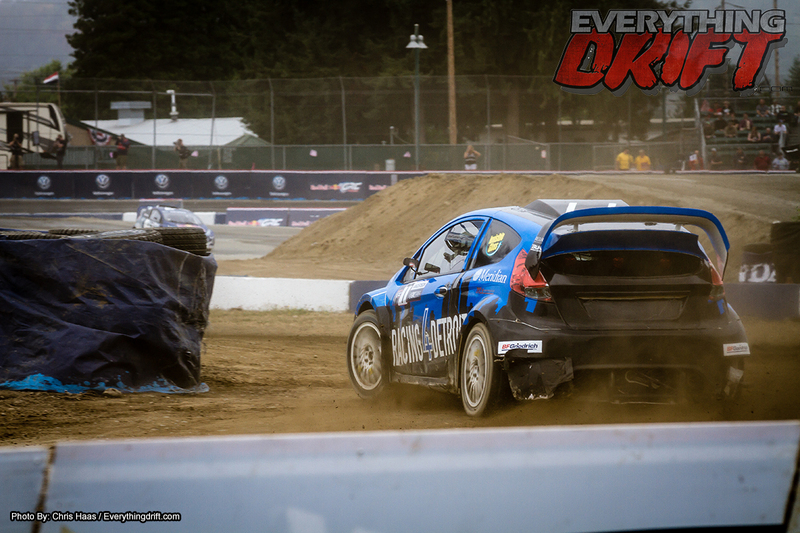 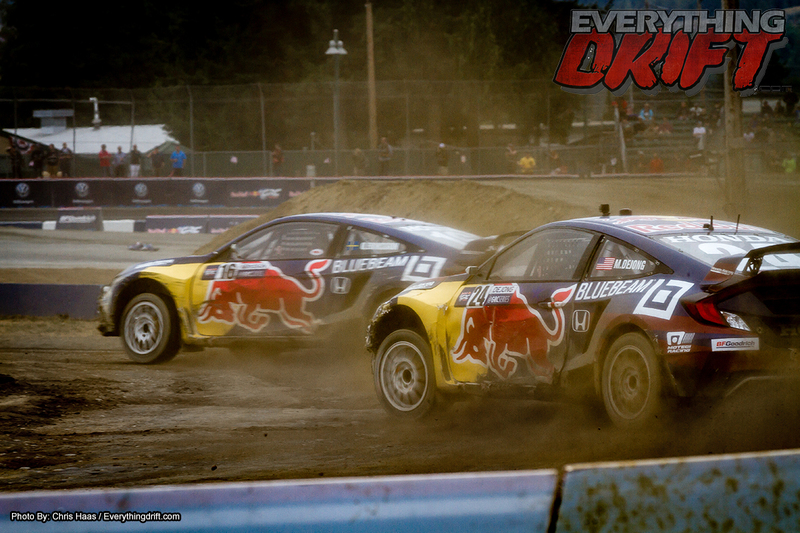 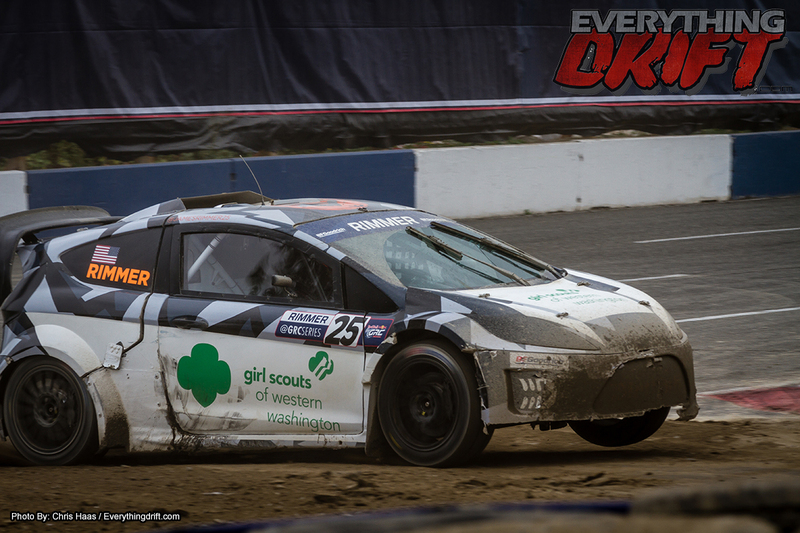 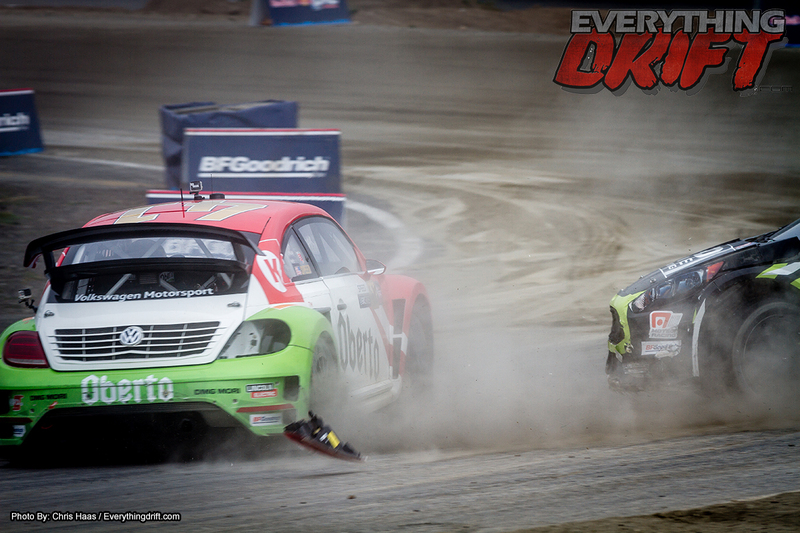 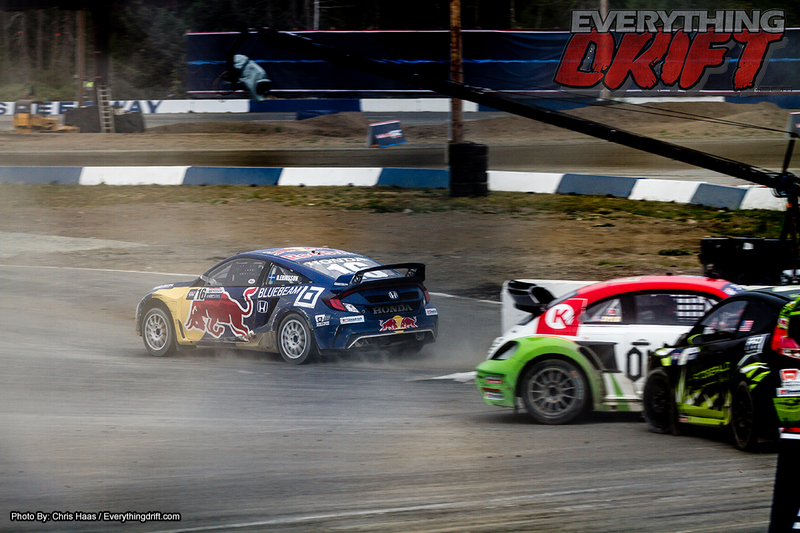 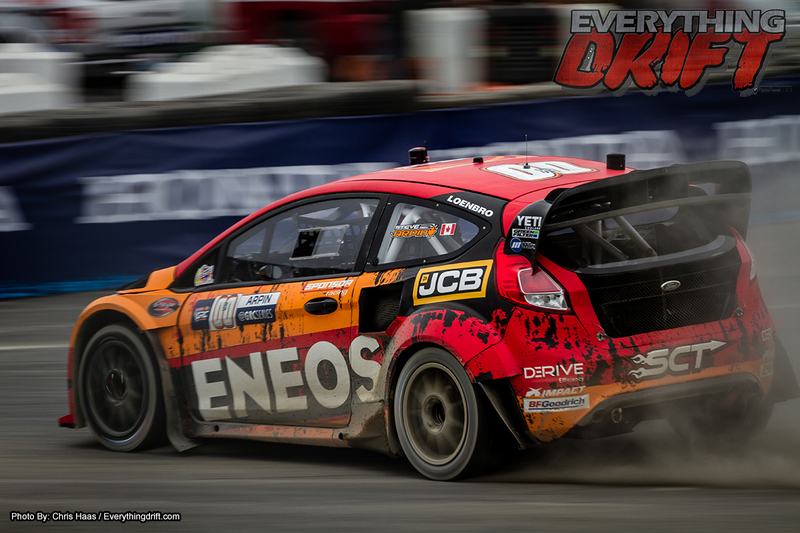 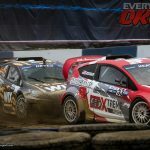 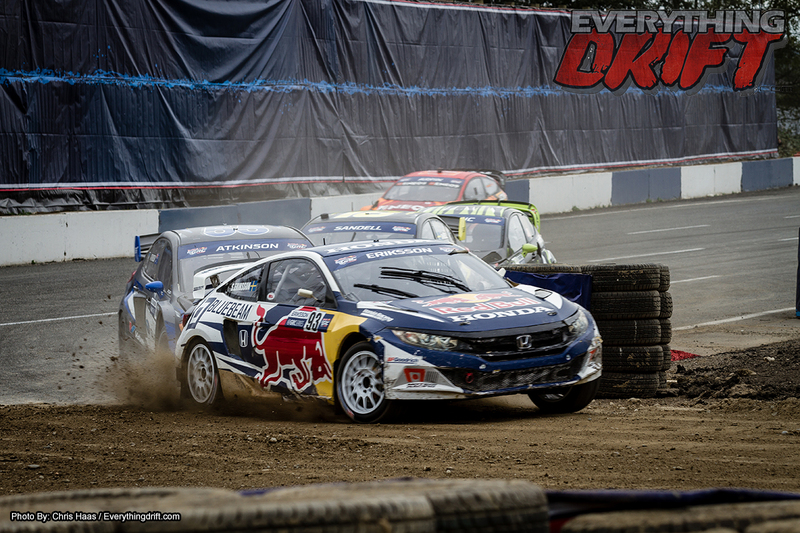 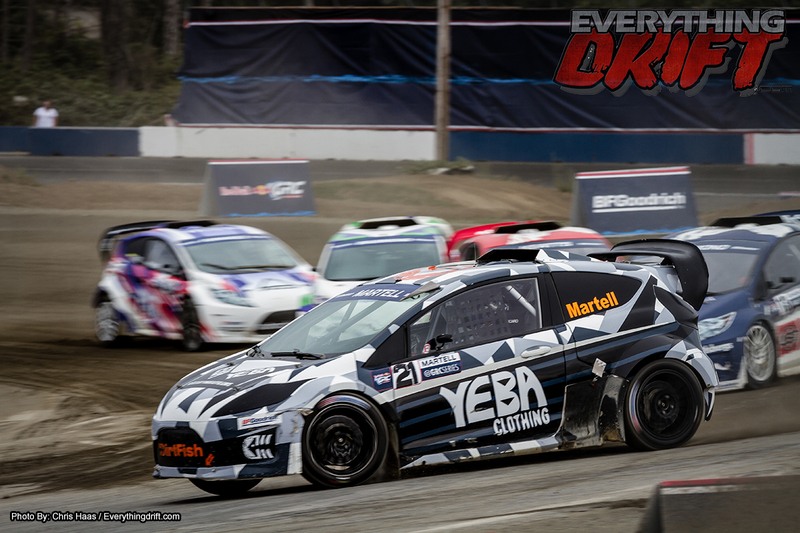 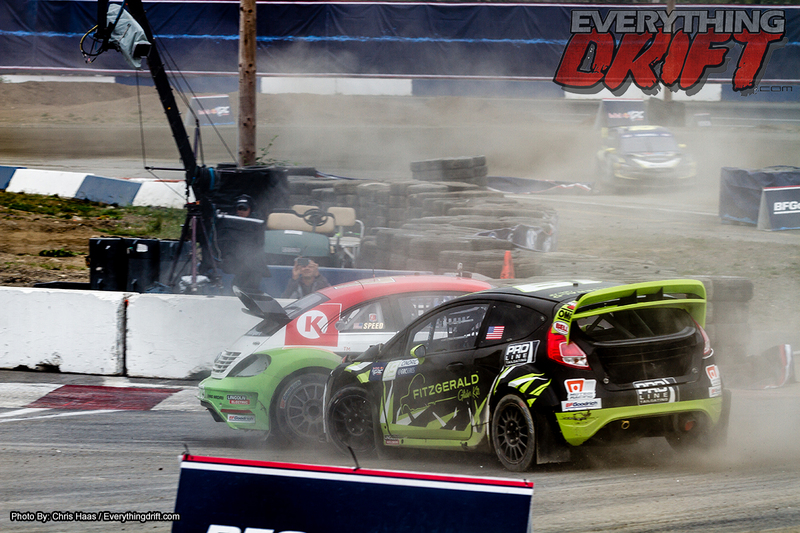 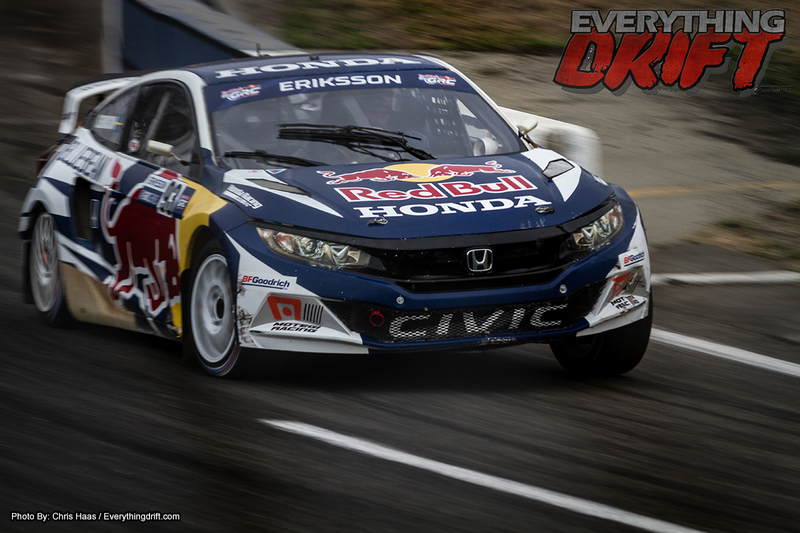 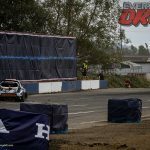 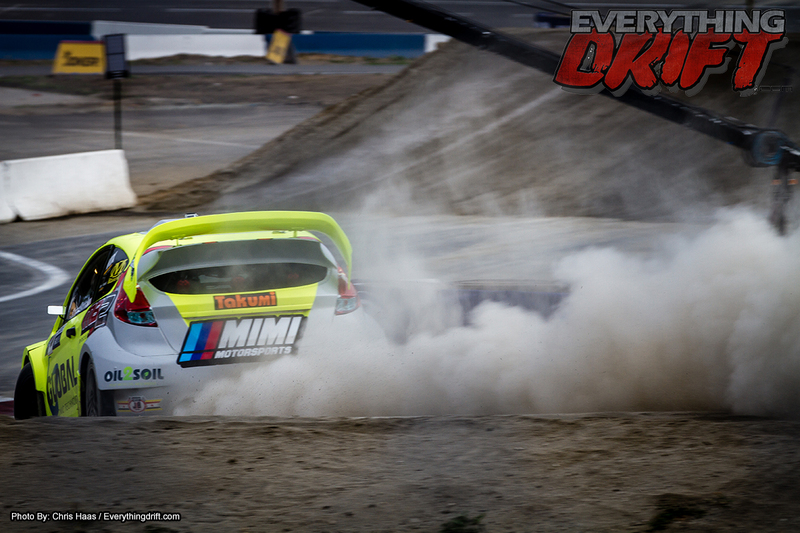 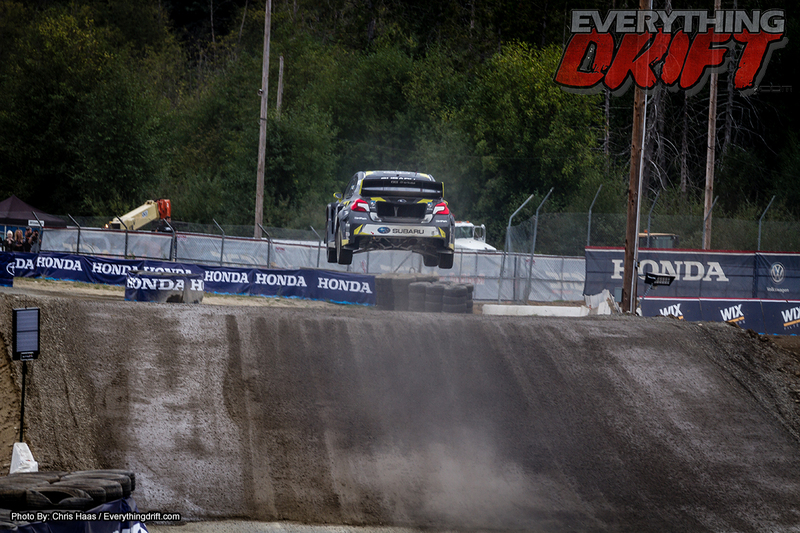 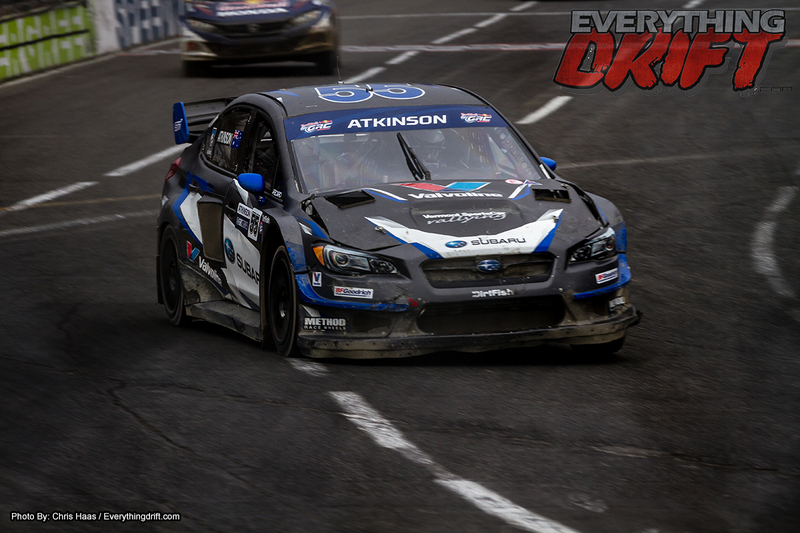 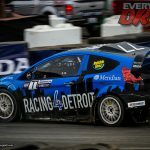 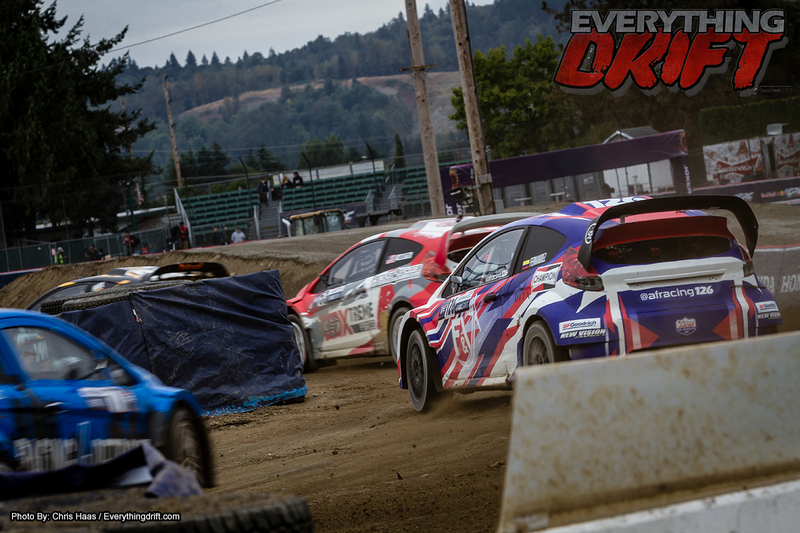 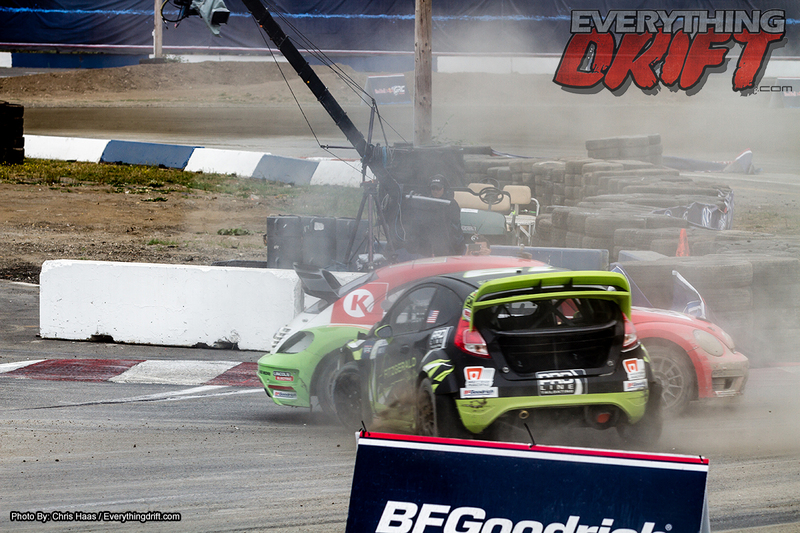 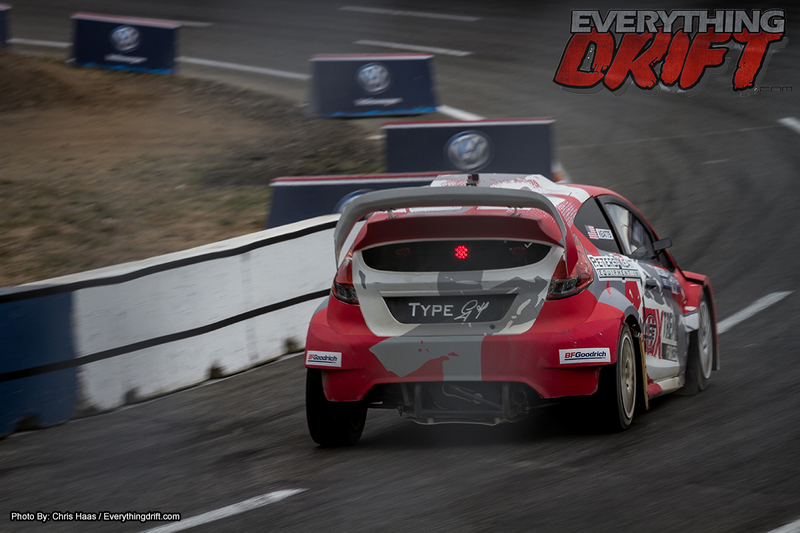 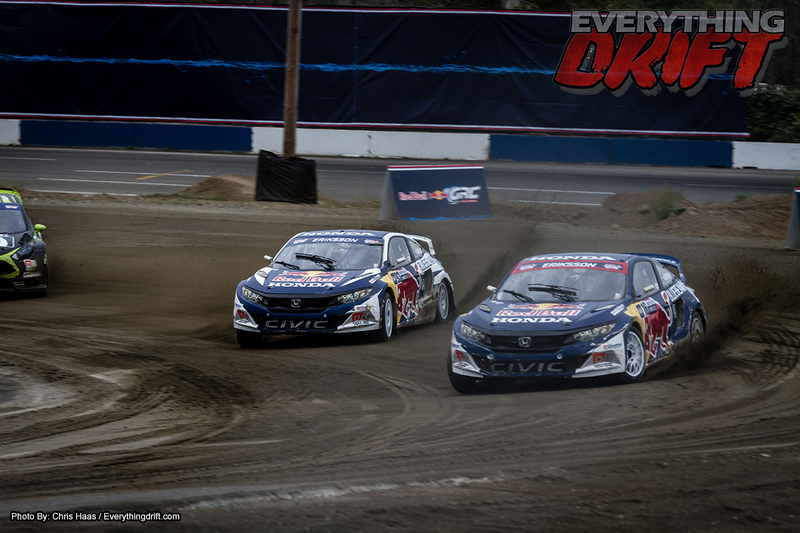 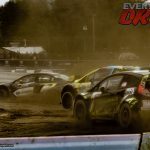 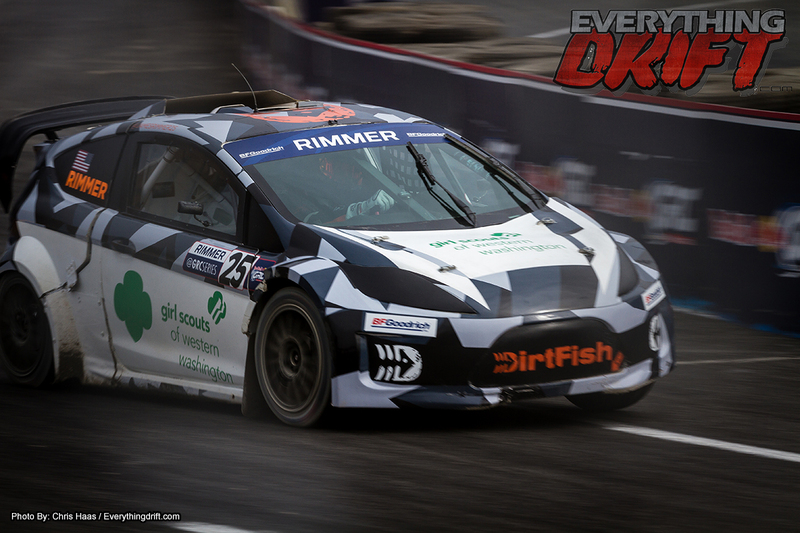 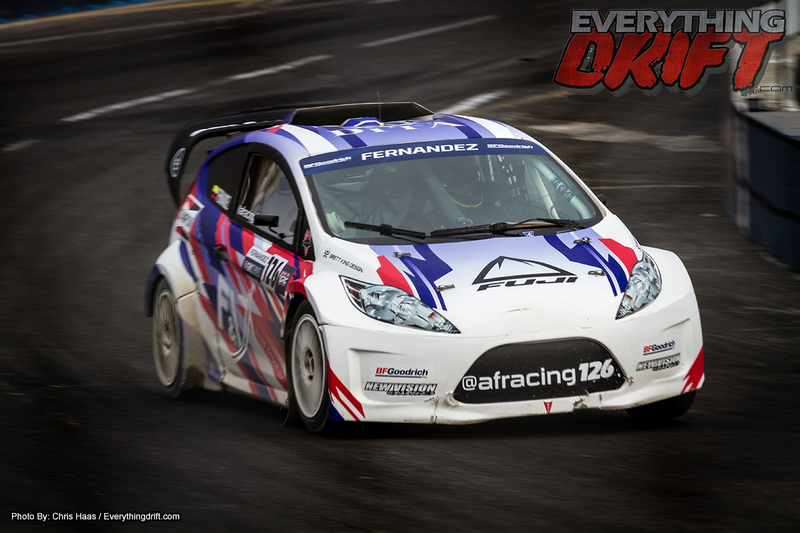 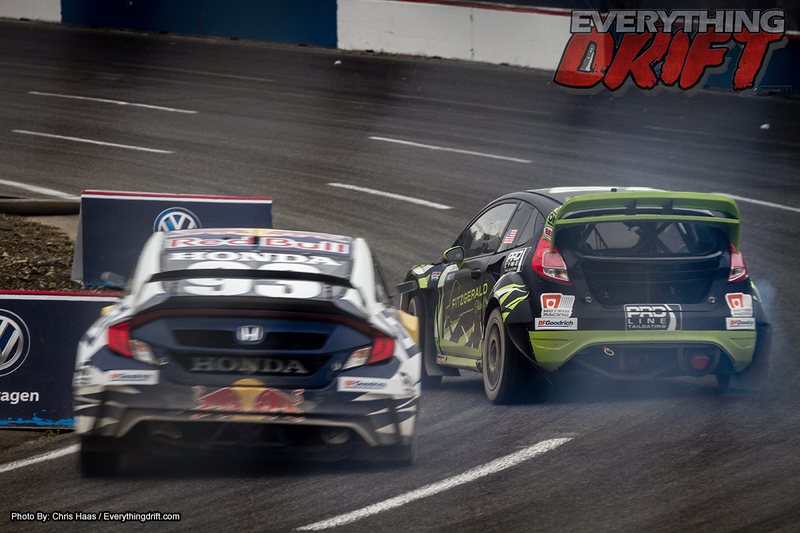 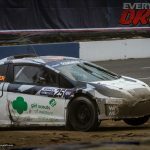 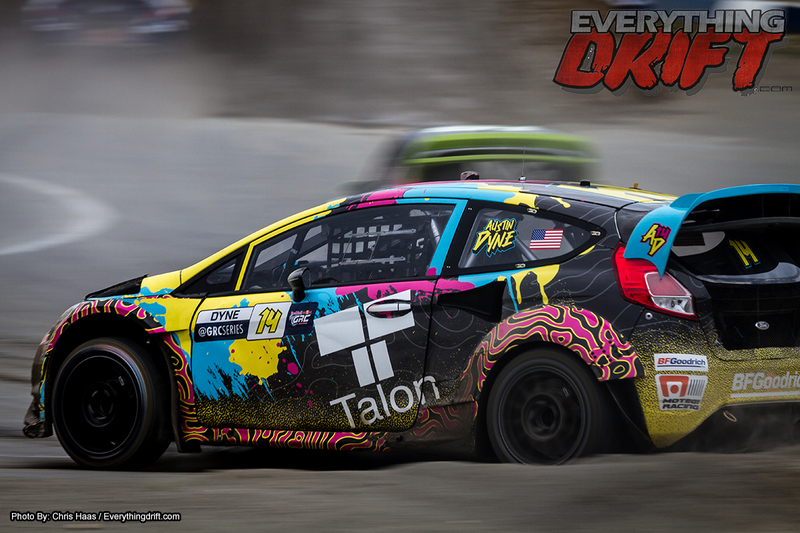 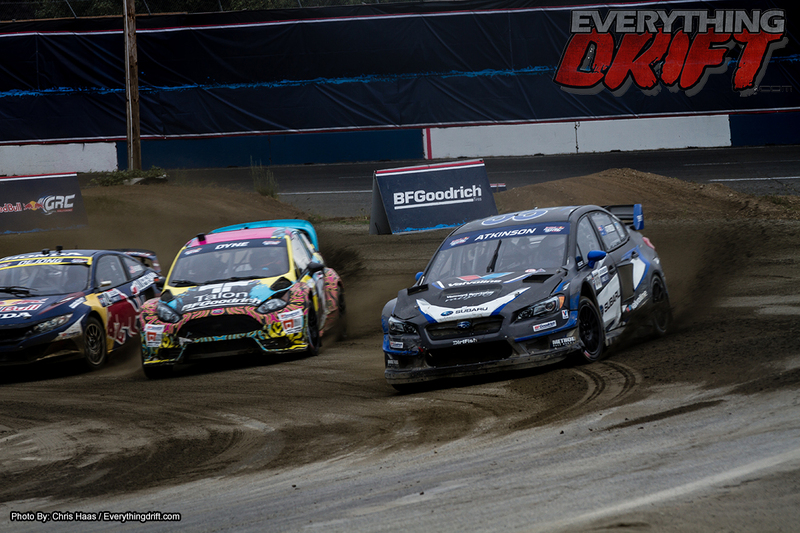 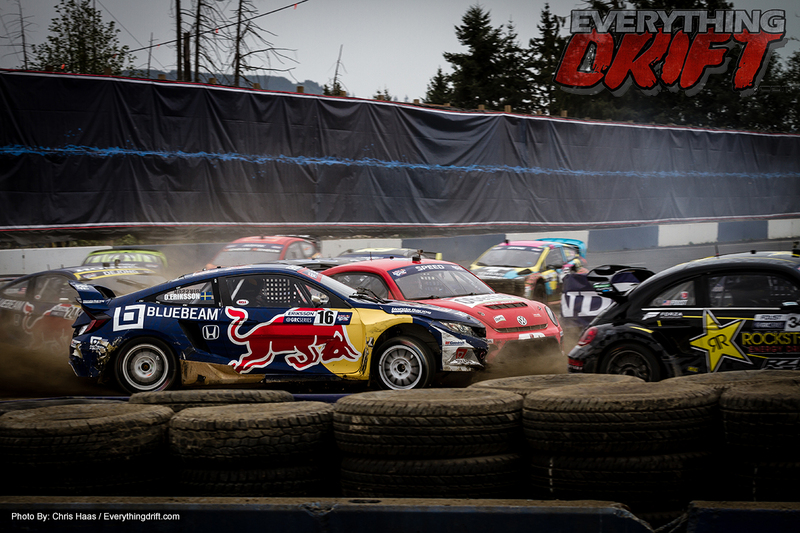 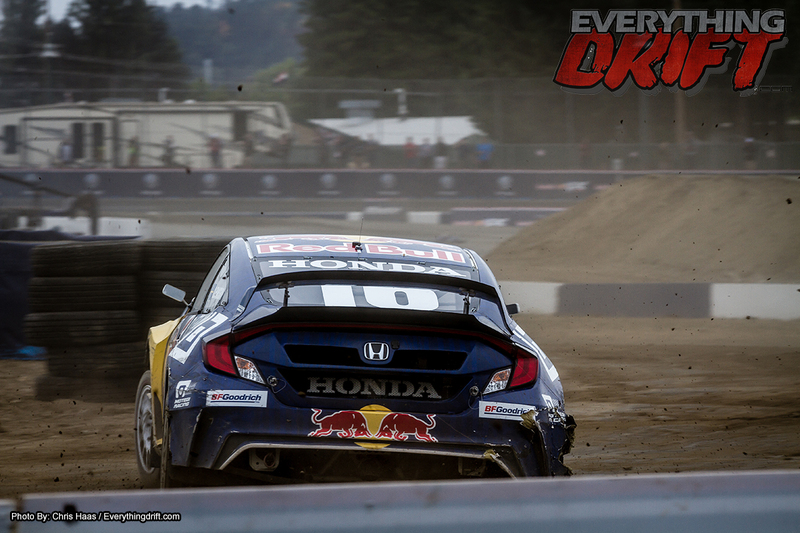 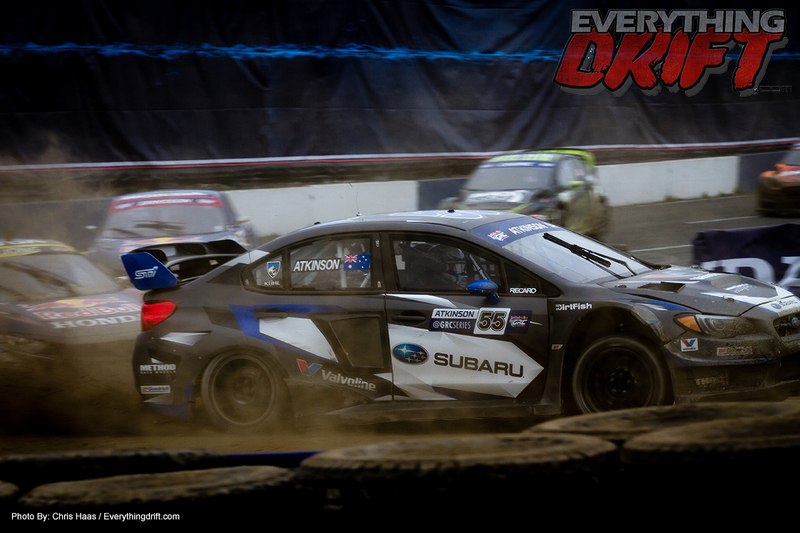 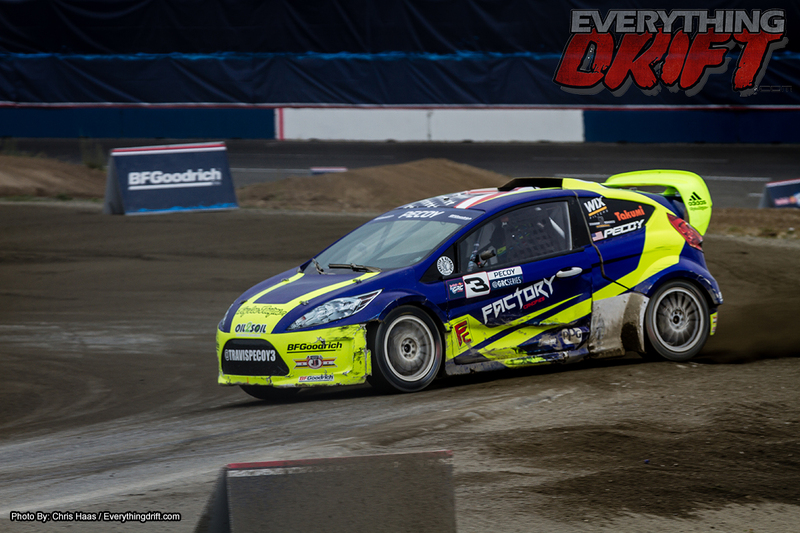 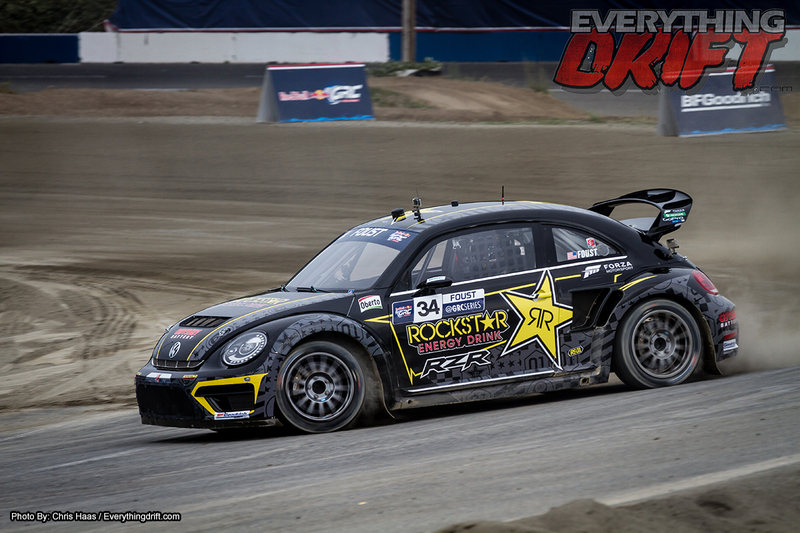 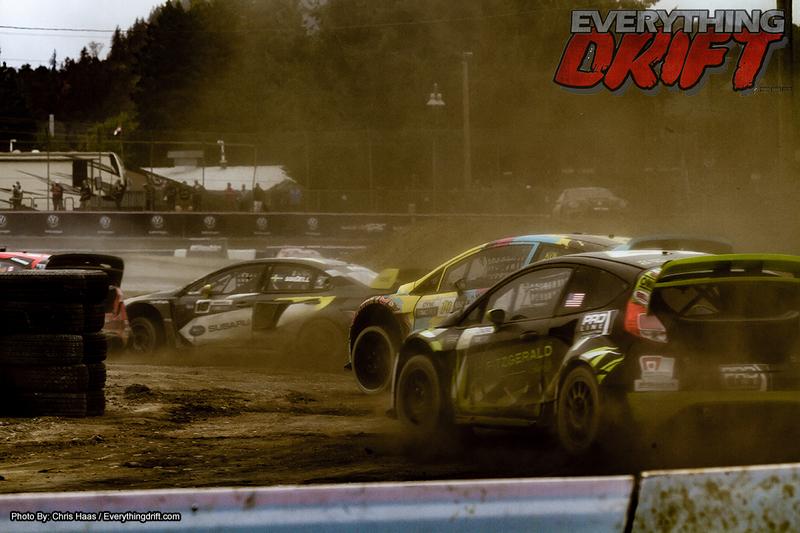 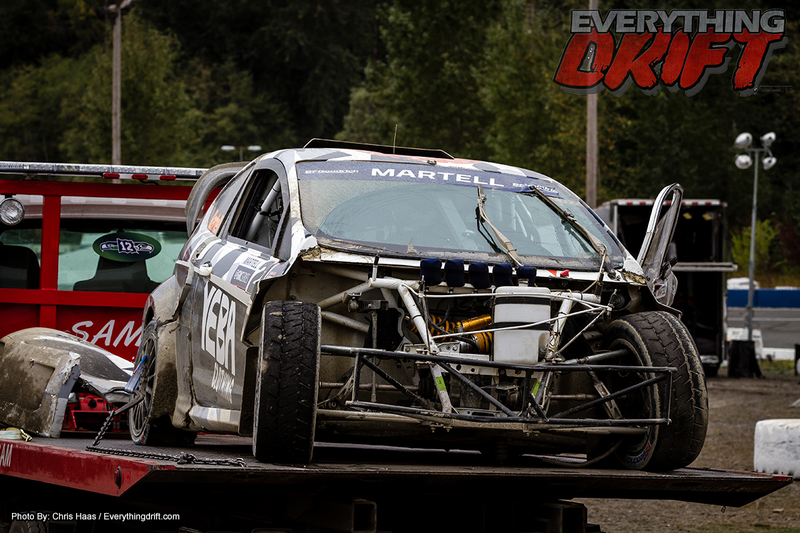 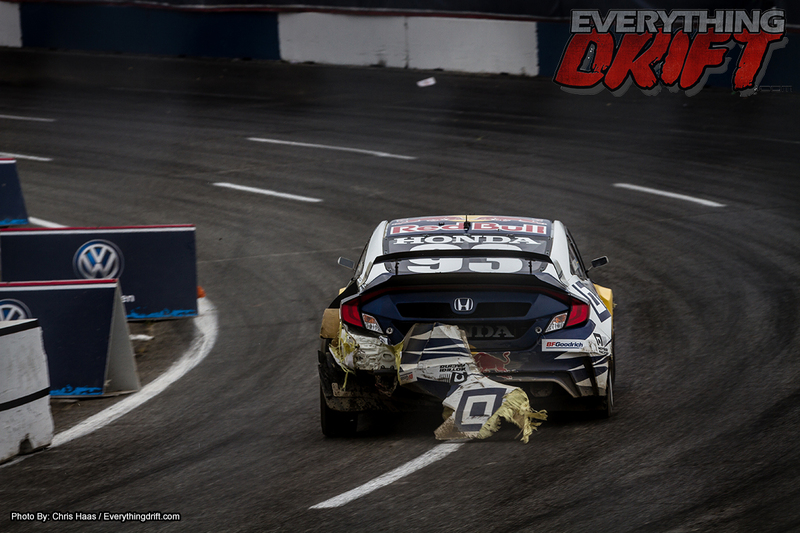 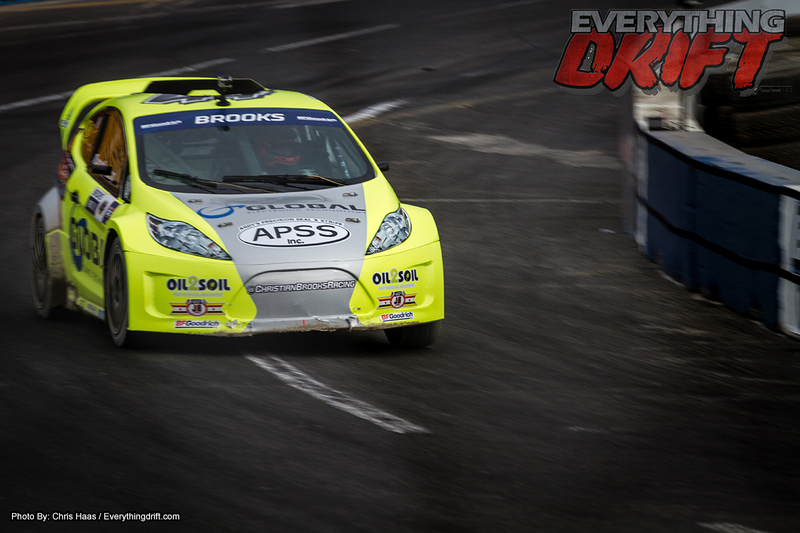 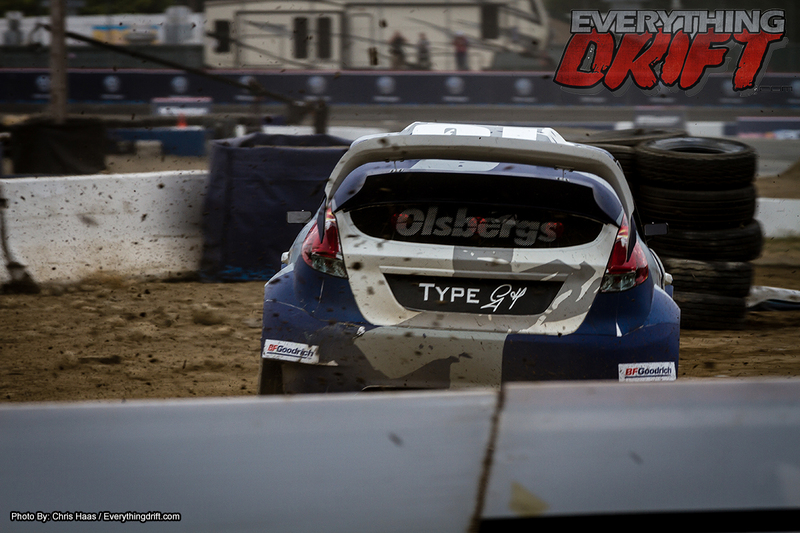 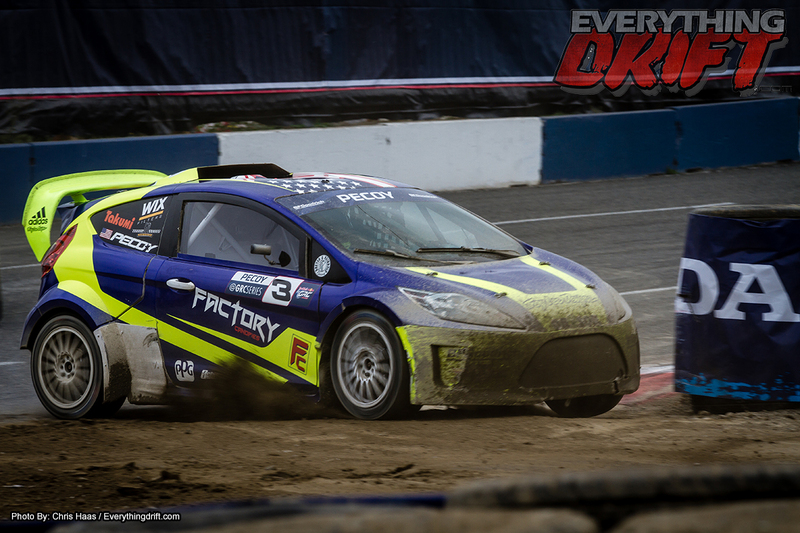 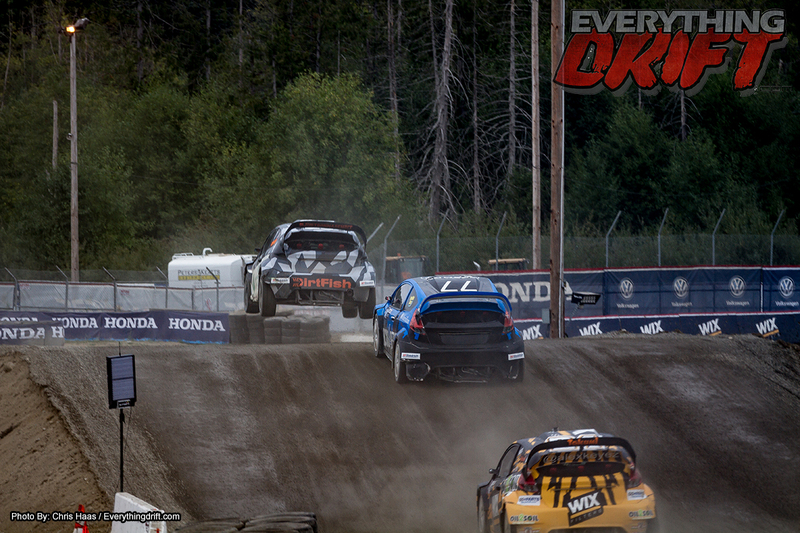 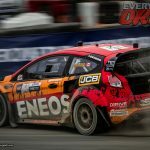 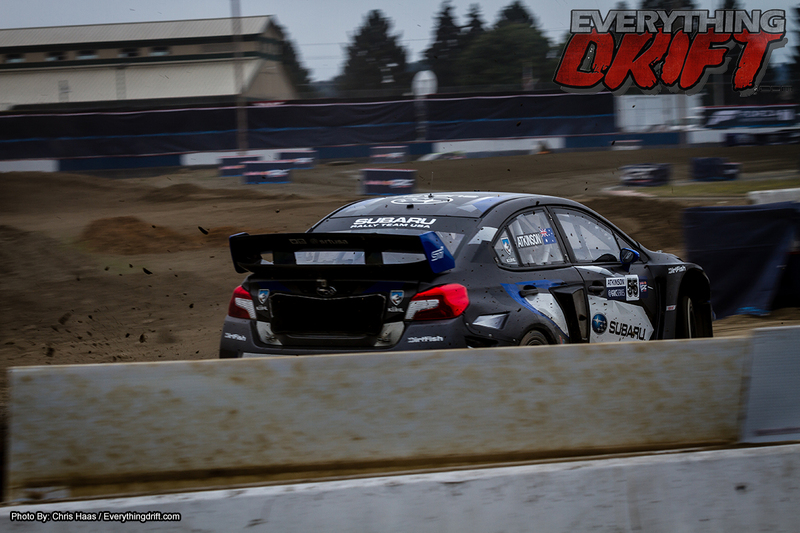 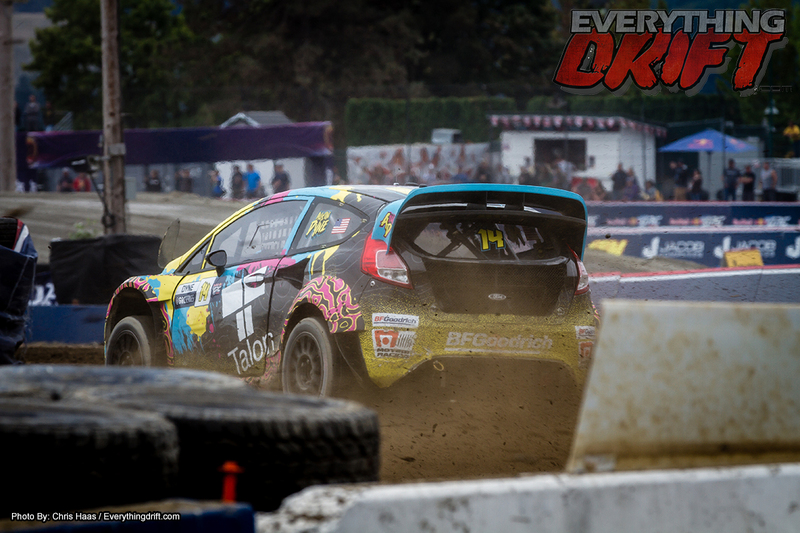 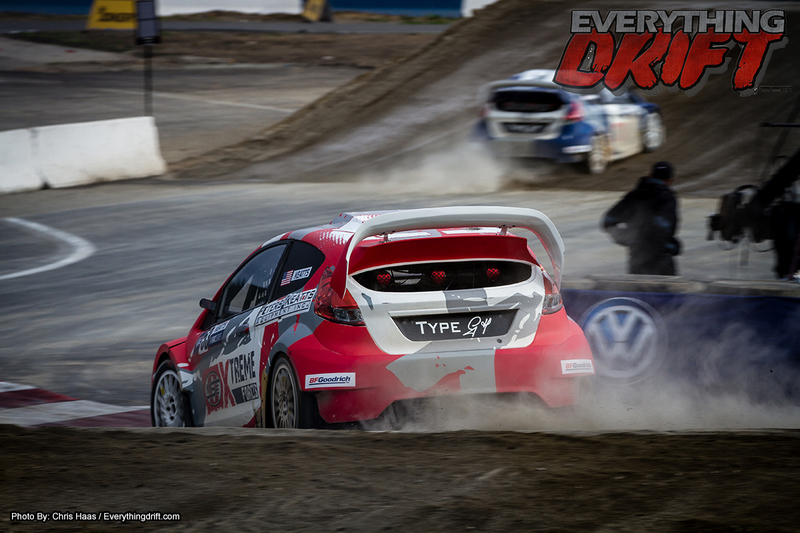 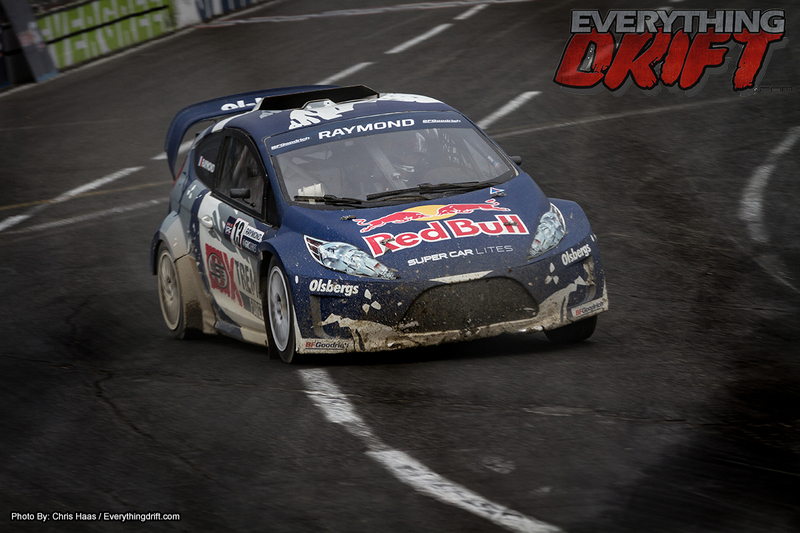 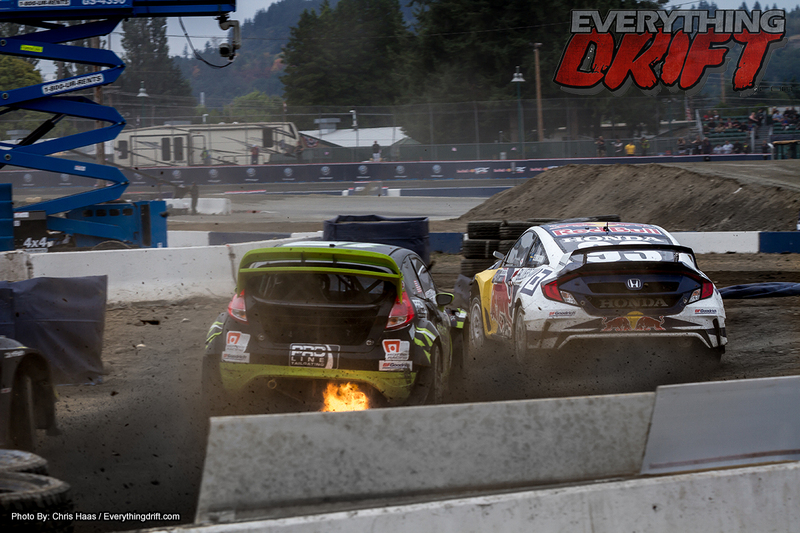 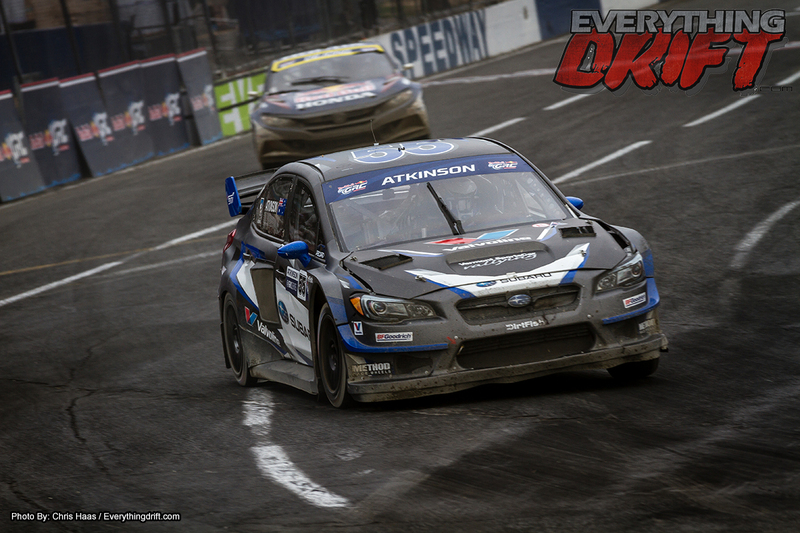 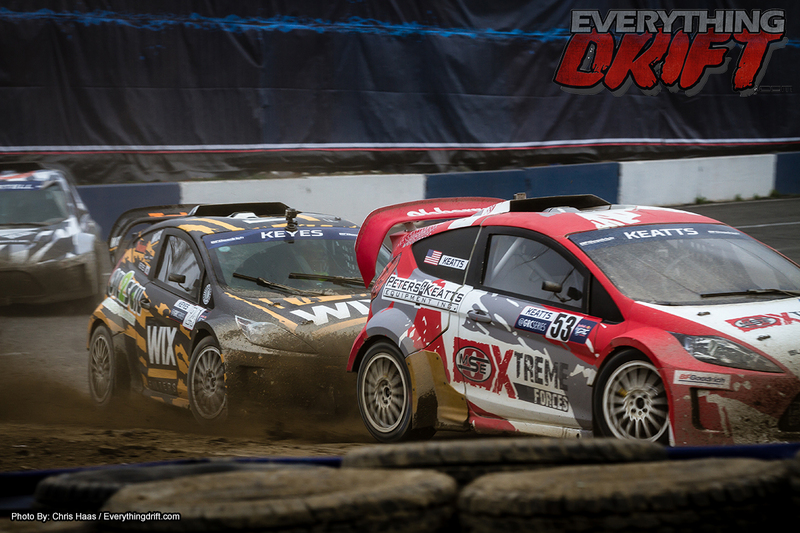 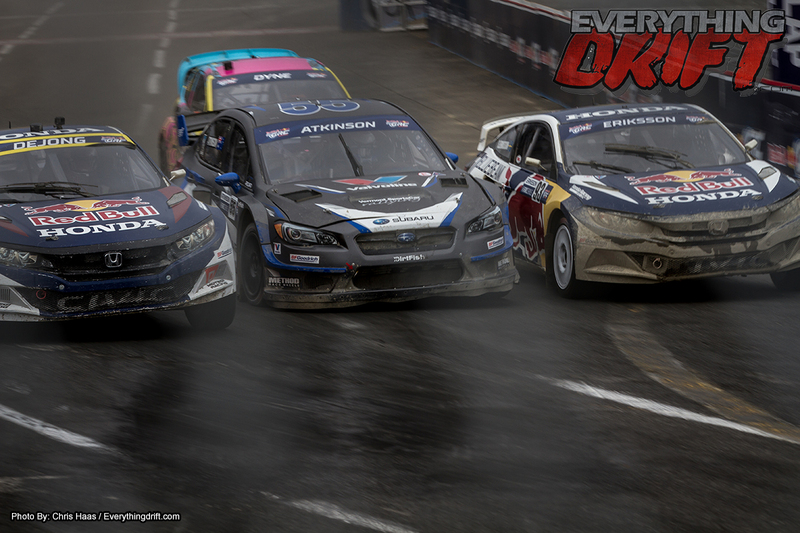 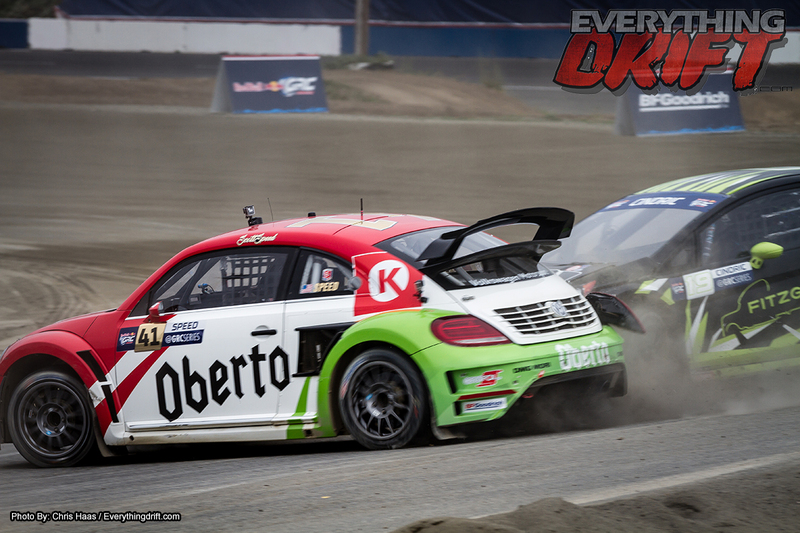 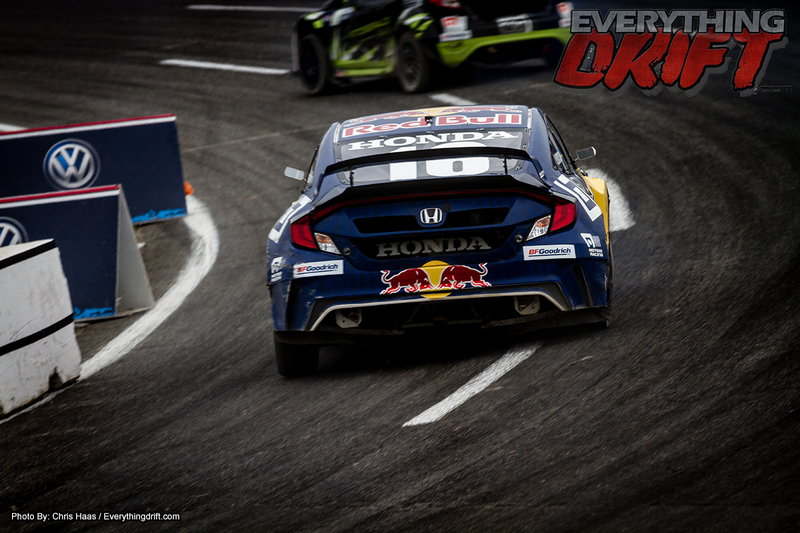 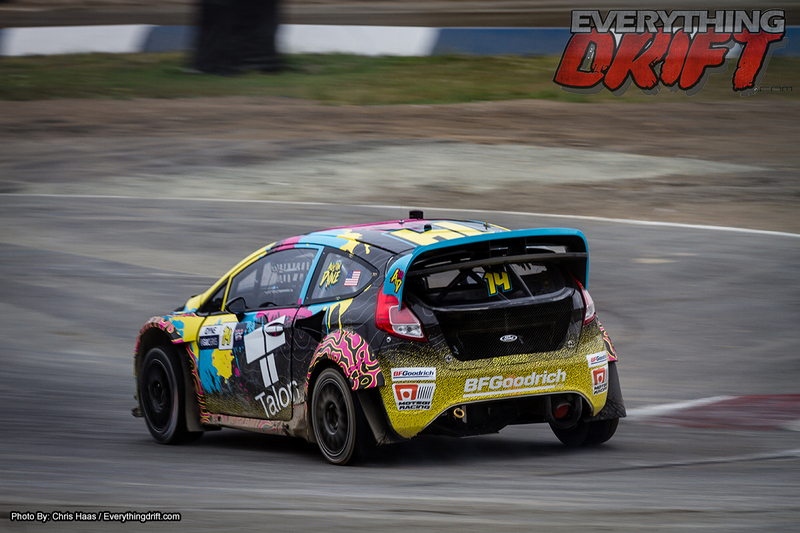 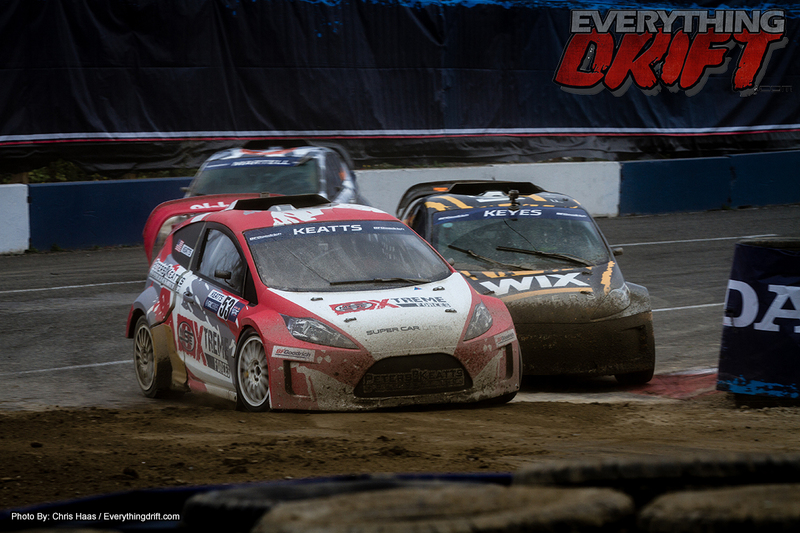 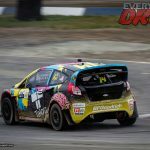 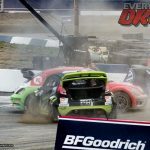 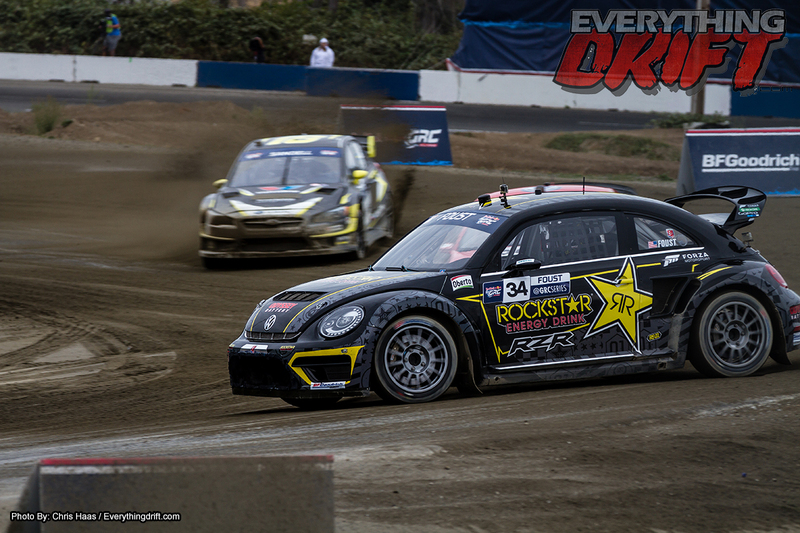 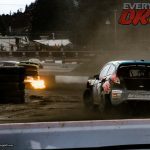 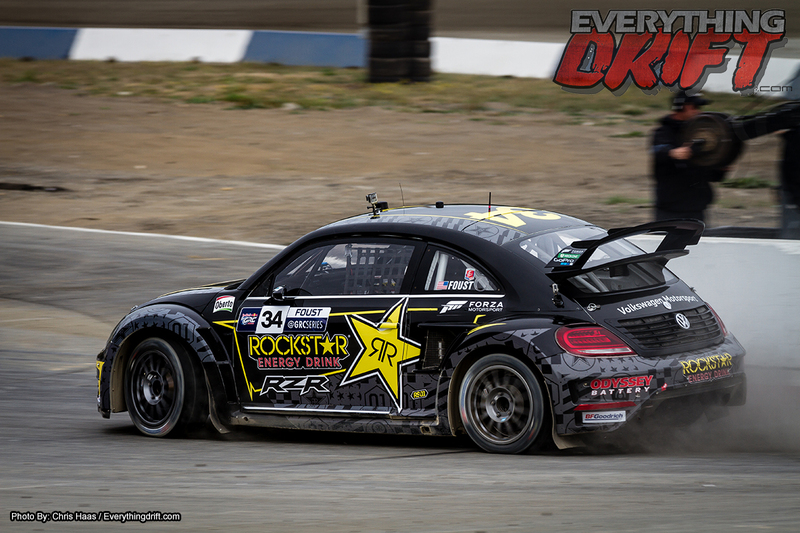 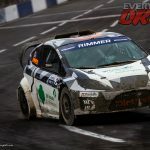 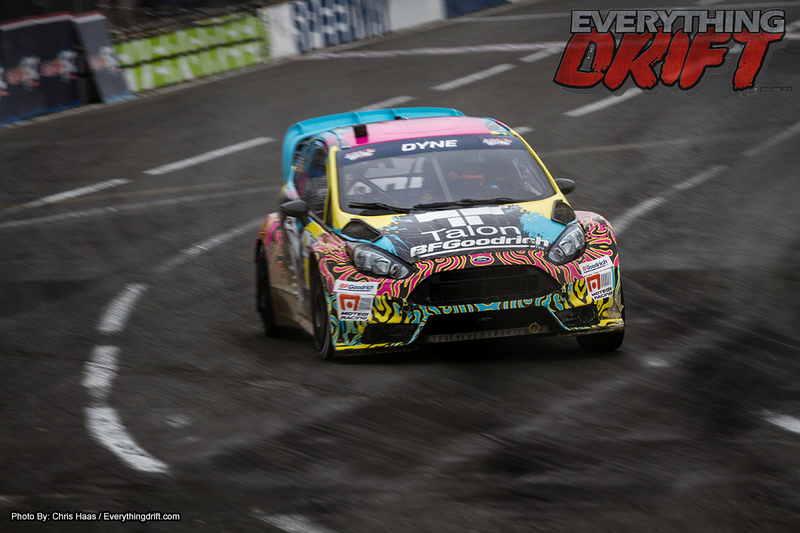 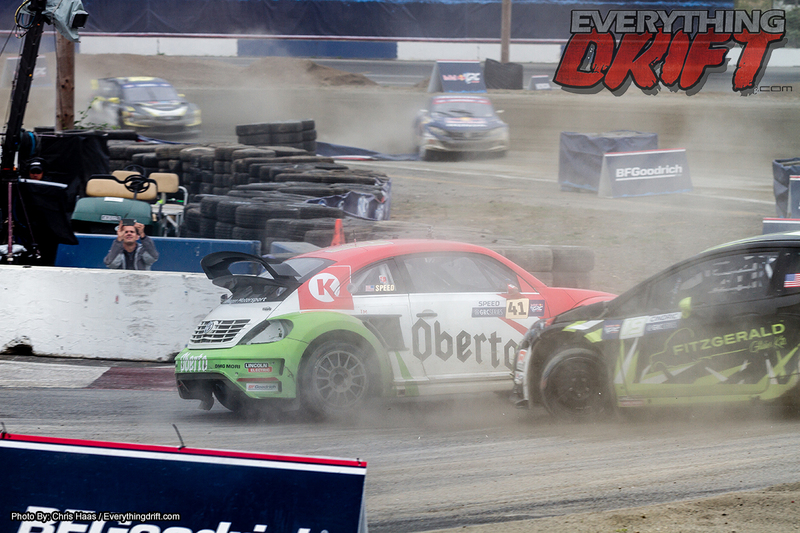 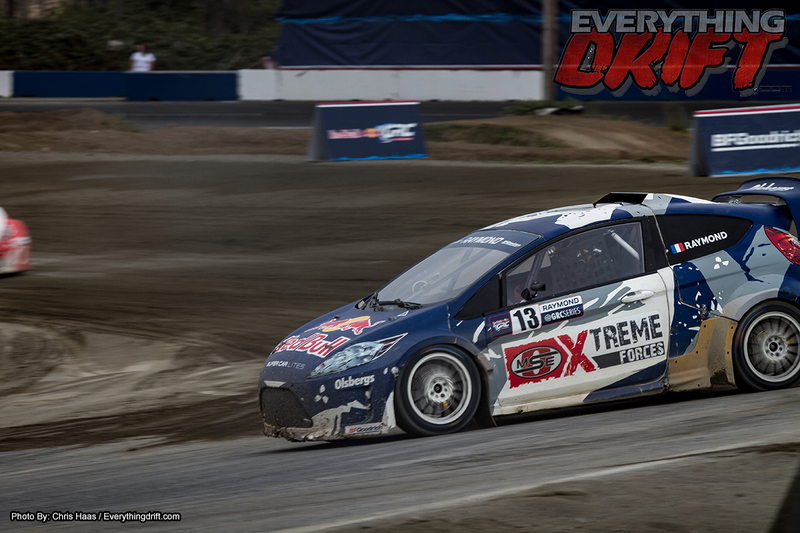 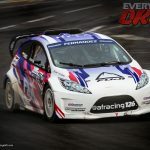 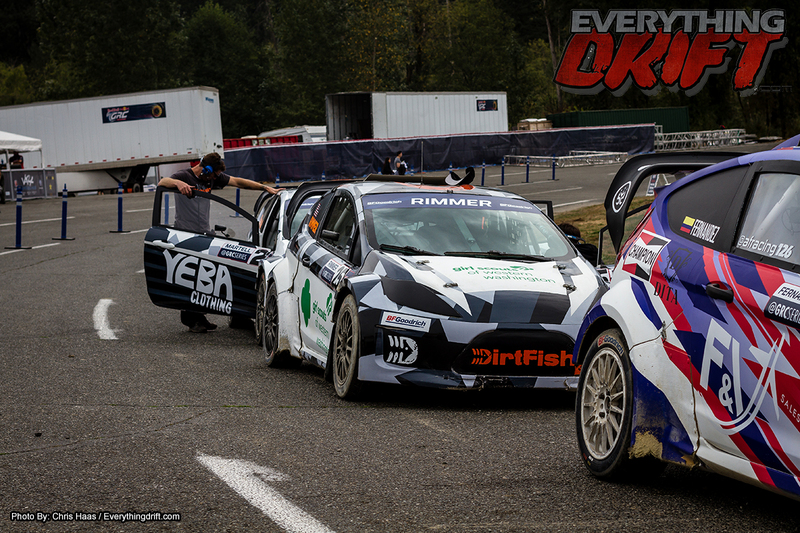 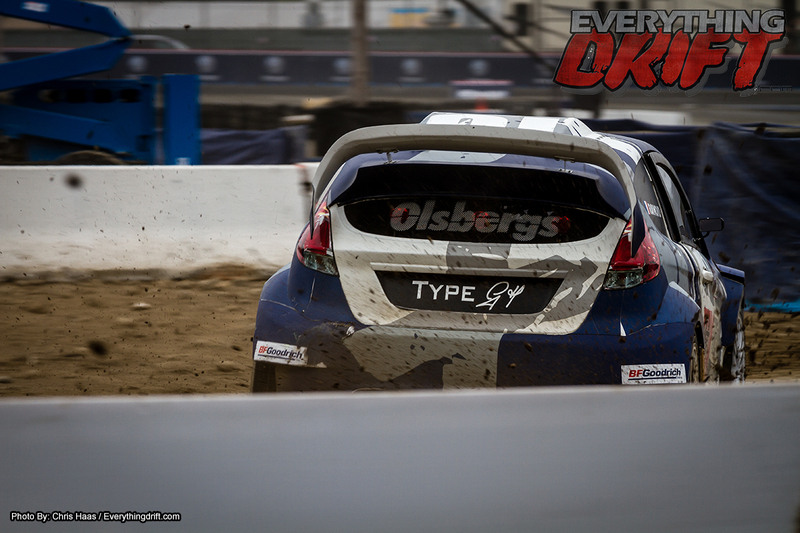 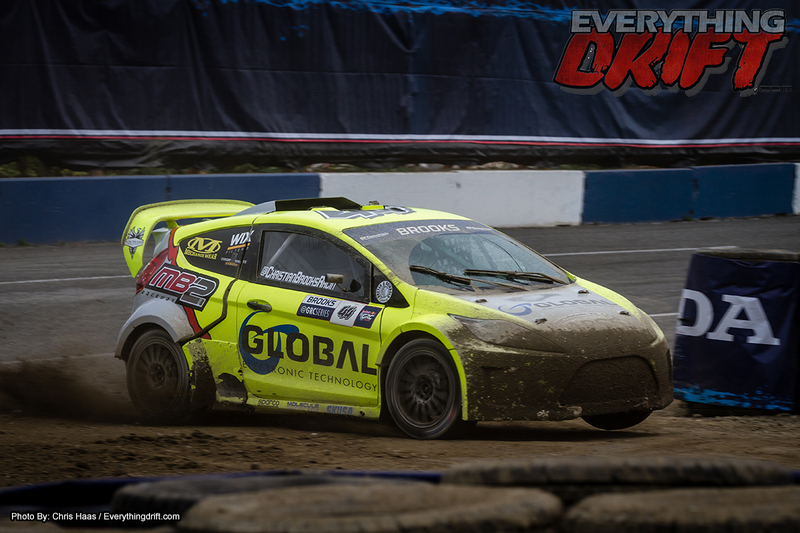 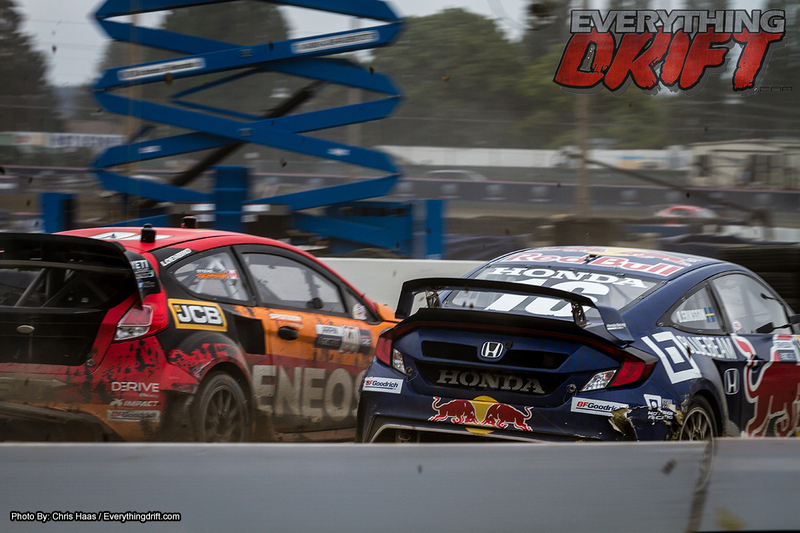 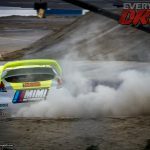 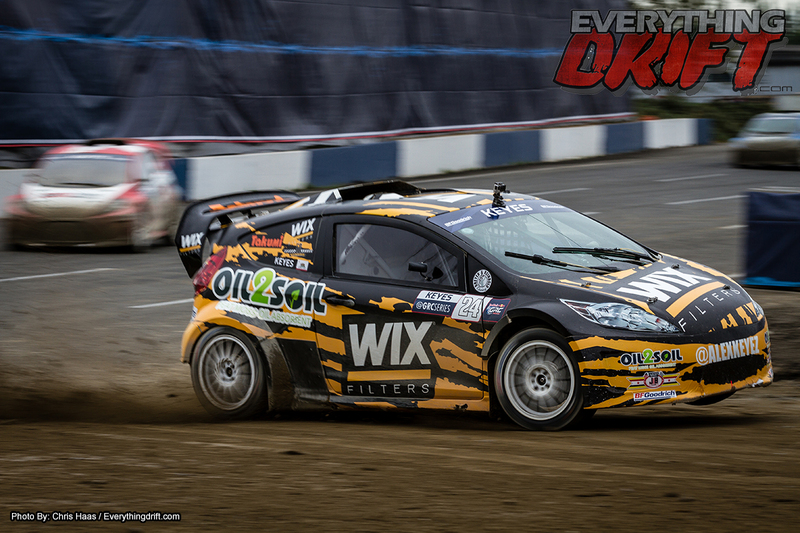 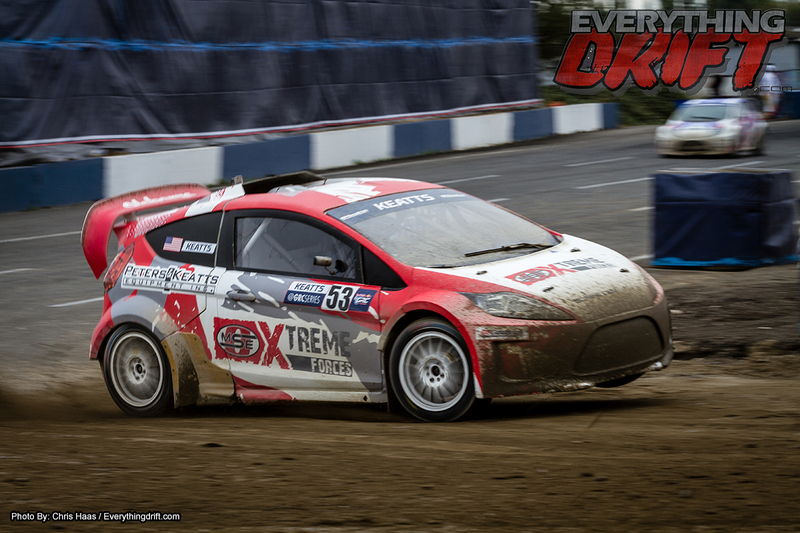 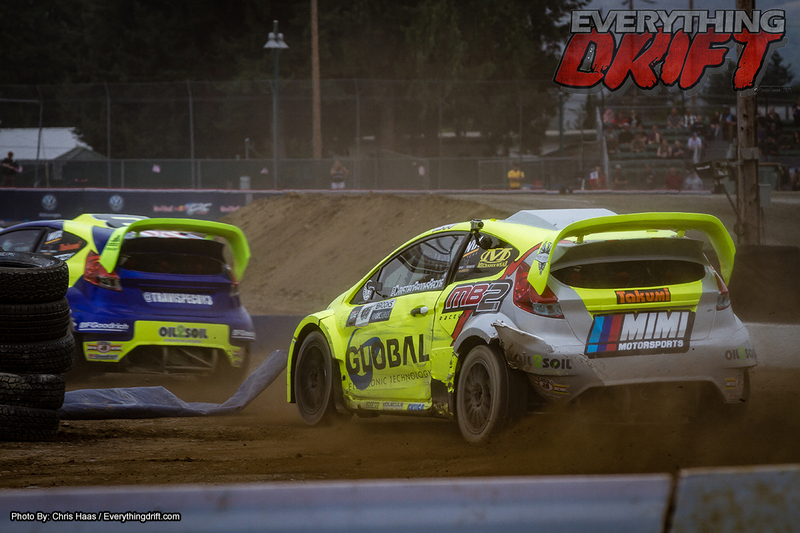 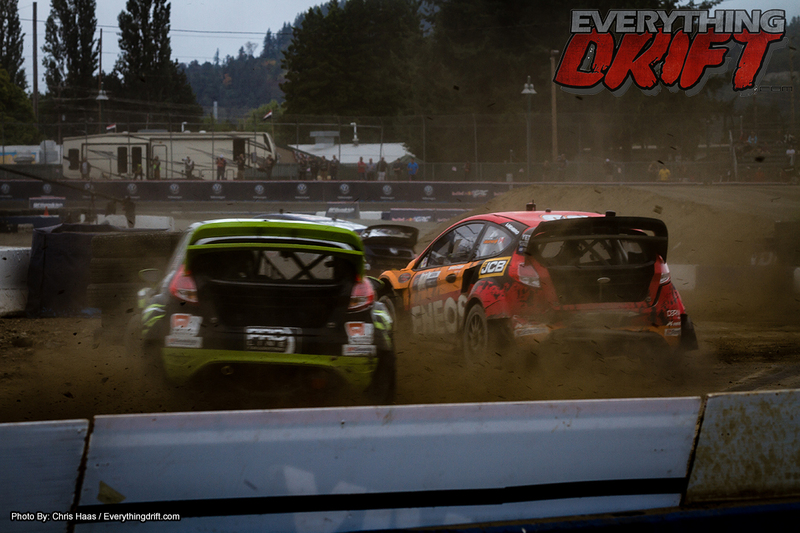 In GRC Lites, Christian Brooks won the battle, but Cyril Raymond won the war in Sunday’s main event. 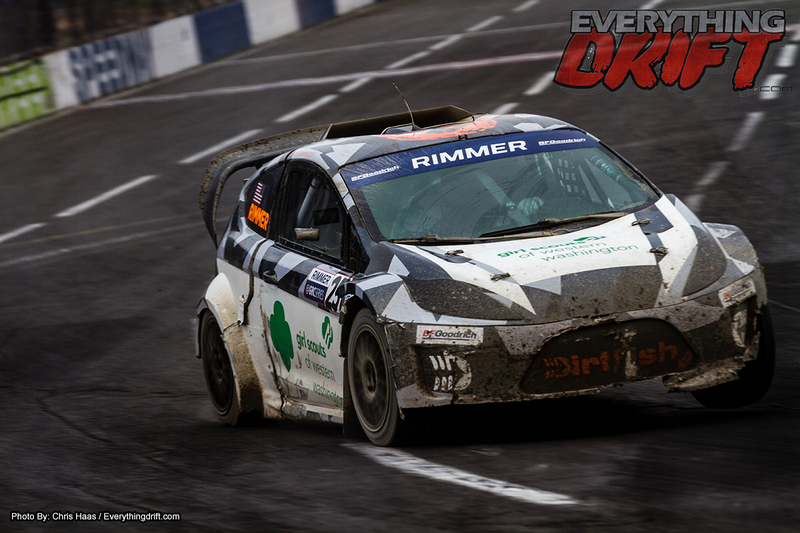 After a first-lap collision claimed James Rimmer’s car and forced a red flag and restart, Raymond restarted in the lead despite missing his entire hood and front bumper, but Brooks used a later Joker Lap strategy to make the pass and take his third victory of the season. 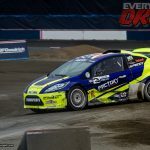 Still, second-place points were enough for Raymond to claim the 2017 Lites title—his second in eight days, after earning the European title in France last weekend. 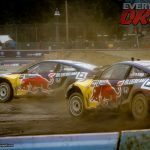 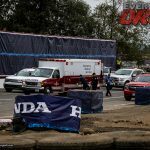 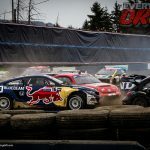 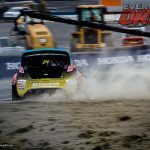 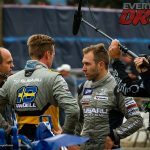 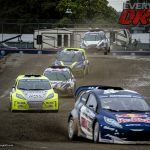 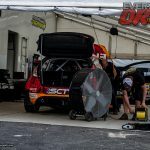 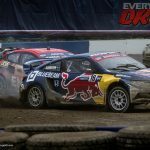 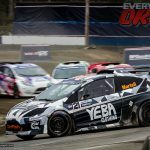 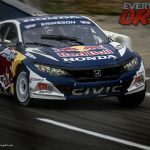 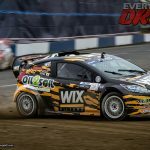 The 2017 Red Bull Global Rallycross championship will conclude on October 13-14 with th championship final in Los Angeles. 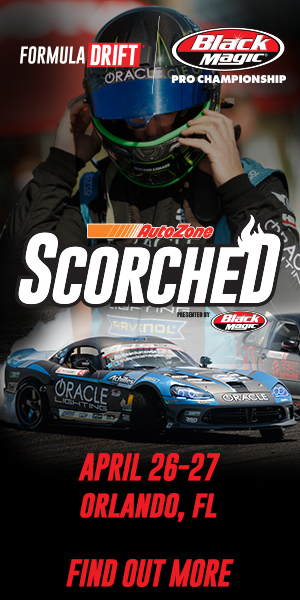 Once again, the season will come down to the final race with the champion to be determined. 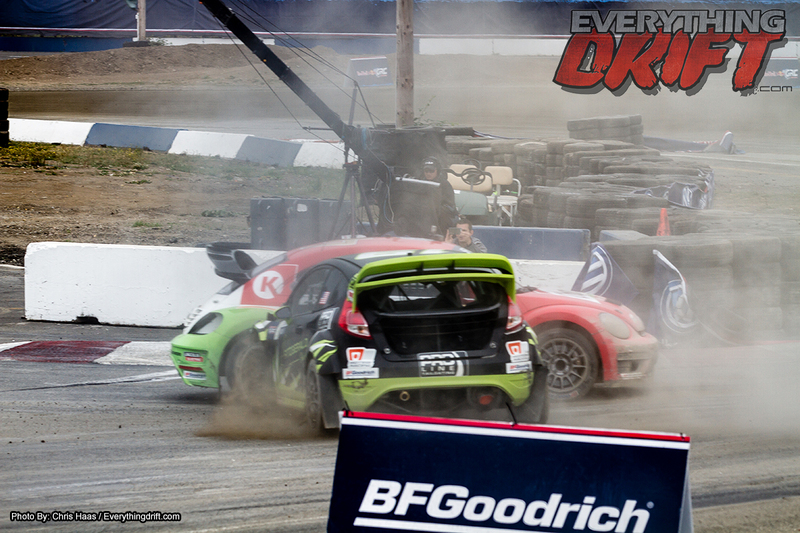 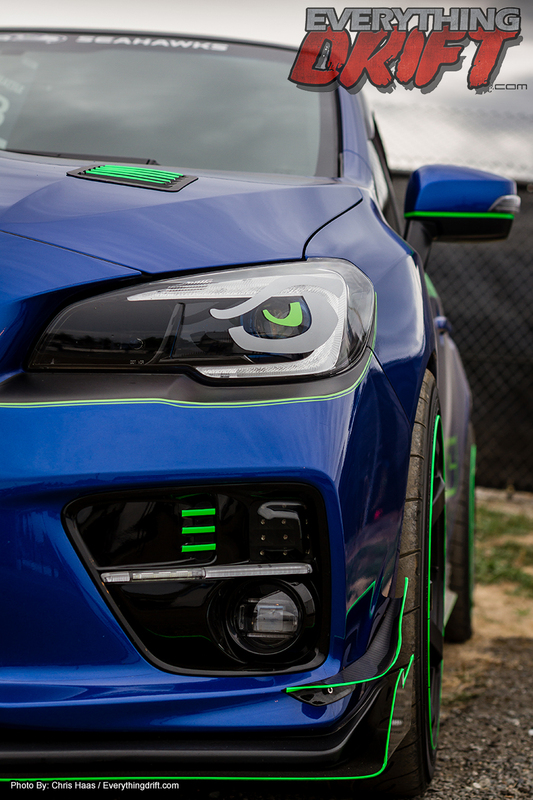 Stay tuned to RedBullGRC.com and Facebook, Twitter, and Instagram @GRCseries for more information. 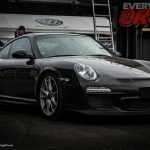 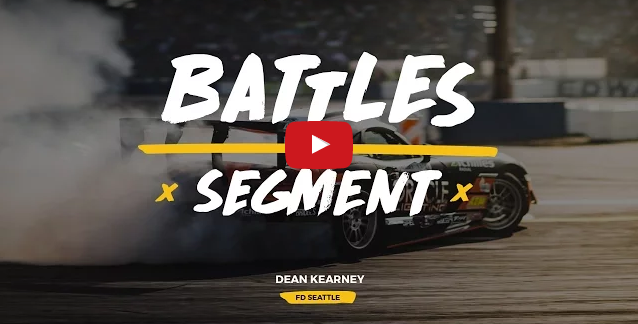 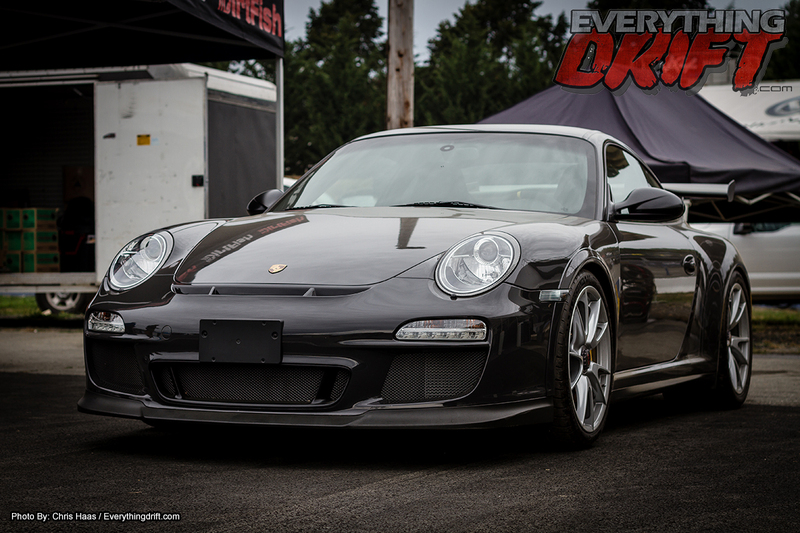 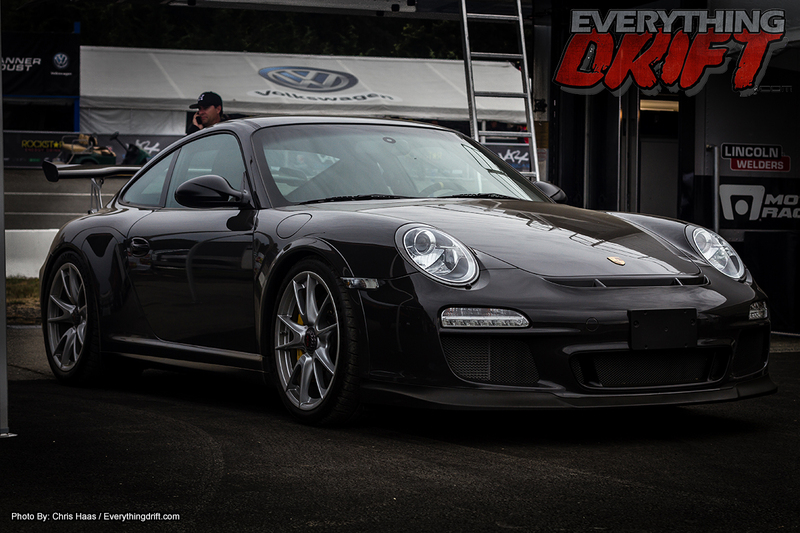 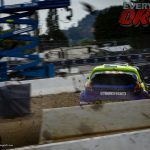 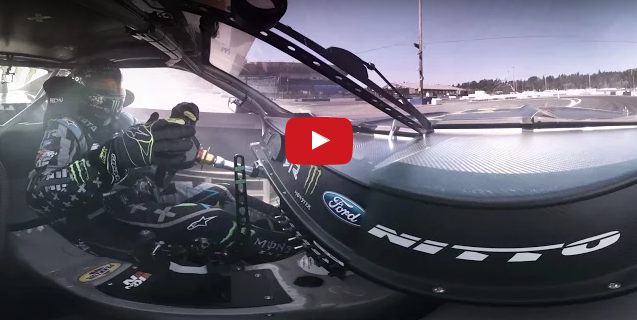 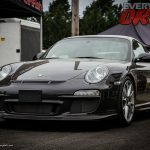 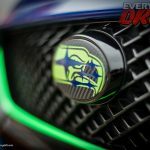 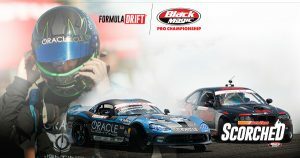 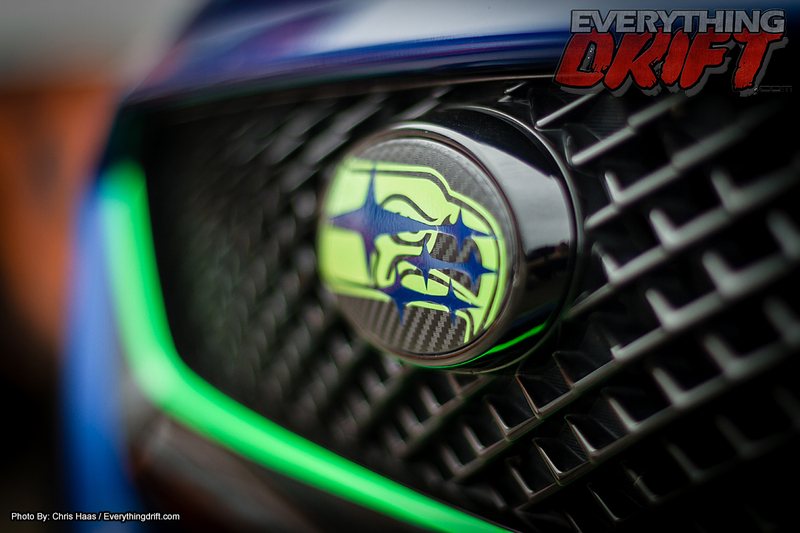 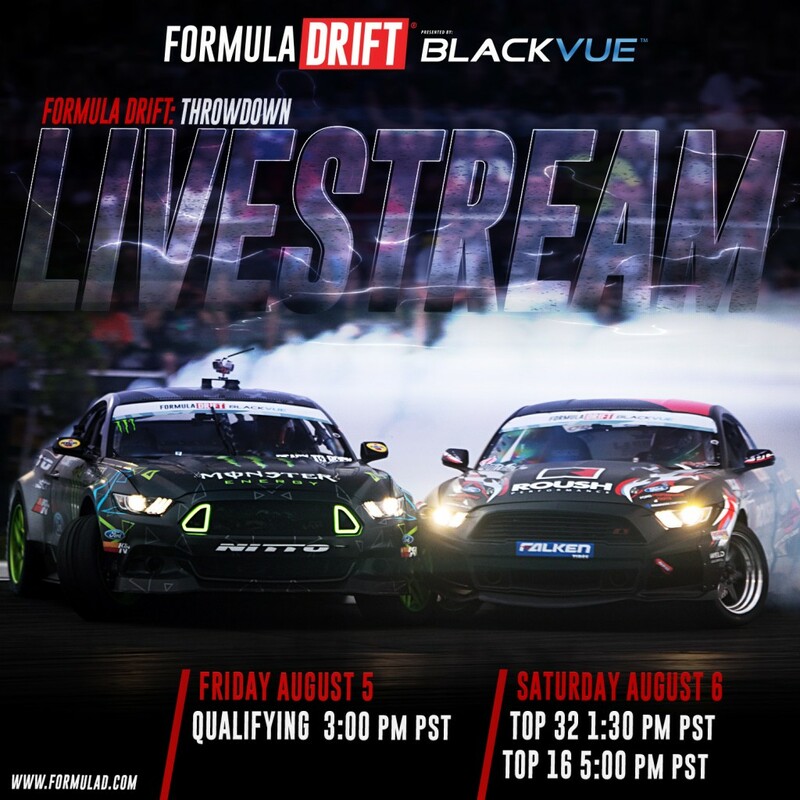 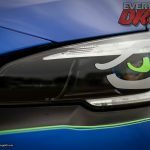 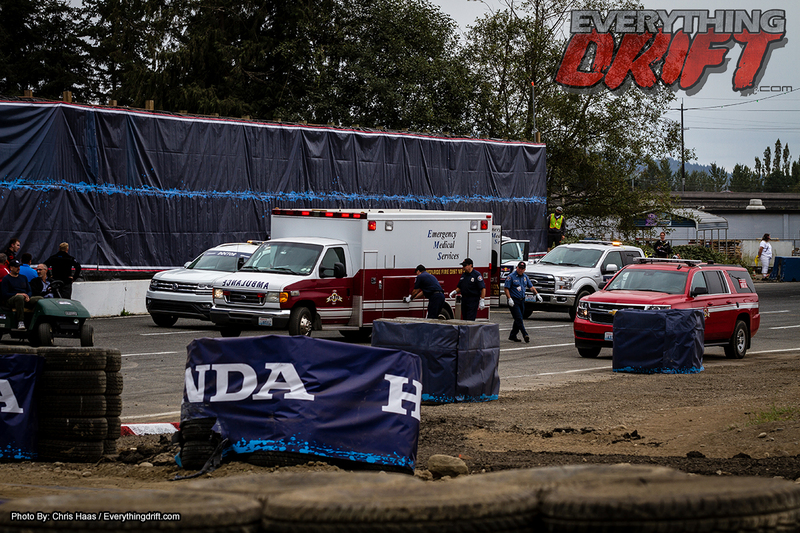 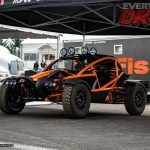 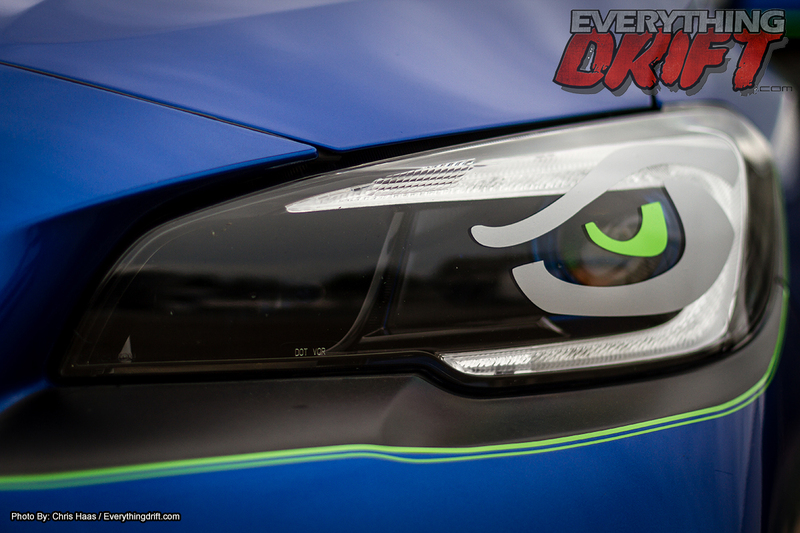 360 Formula Drift Seattle Track Walk-Through – Vaughn Gittin Jr.
Get a preview of the Formula Drift track at the Evergreen Speedway with the current points leader Vaughn Gittin Jr.